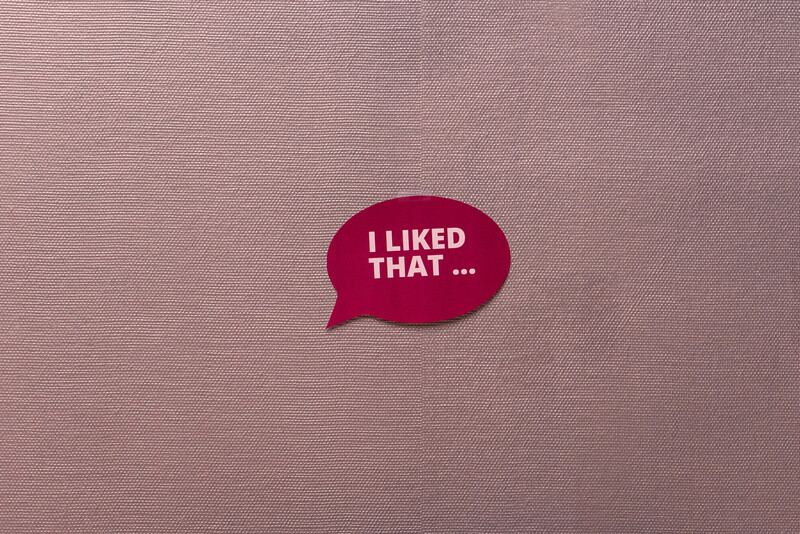 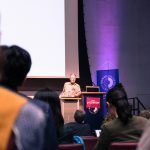 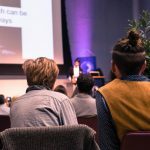 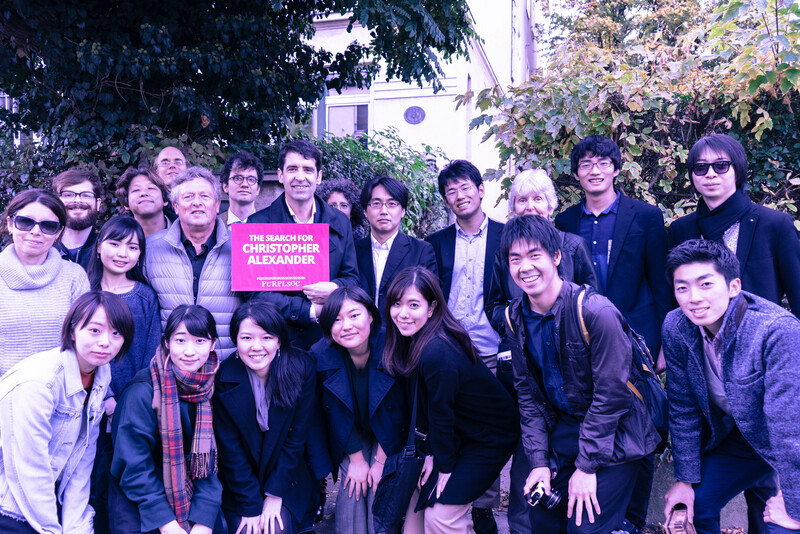 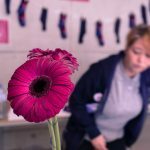 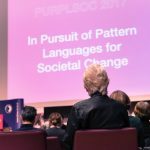 In the last two decades, the pattern language approach of Christopher Alexander – which originated from architecture but has gone far beyond since – has been successfully implemented in a growing number of new fields, such as design, media, arts, IT, management, pedagogy, health care, business development, technology, social activism, social innovation and grassroots movements. 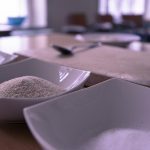 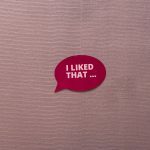 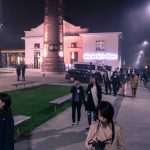 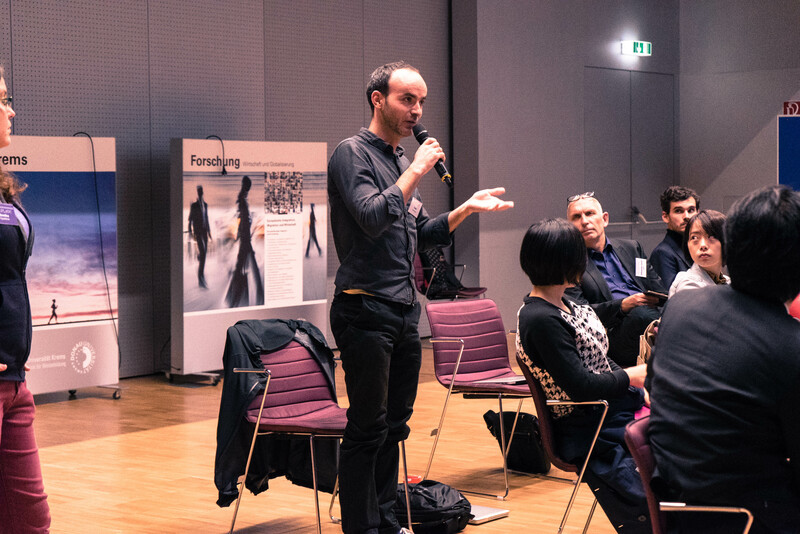 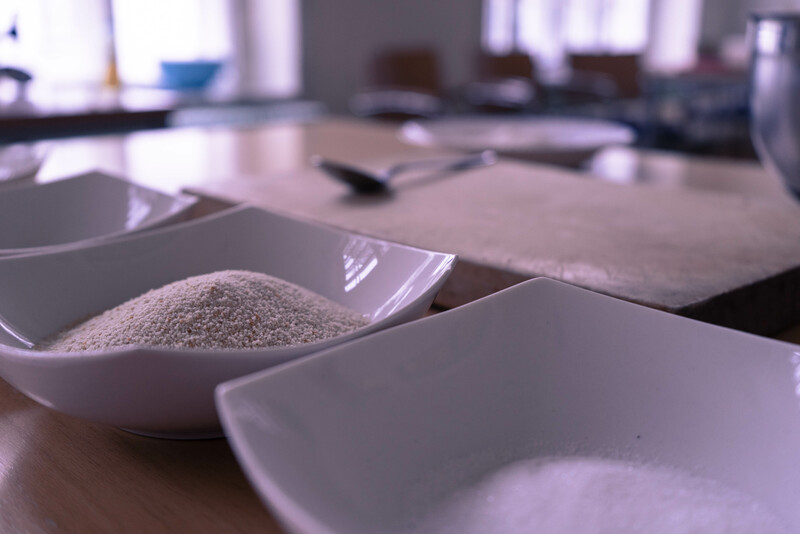 This interdisciplinary and participatory tool opens up innovative ways to collect and communicate informal knowledge. 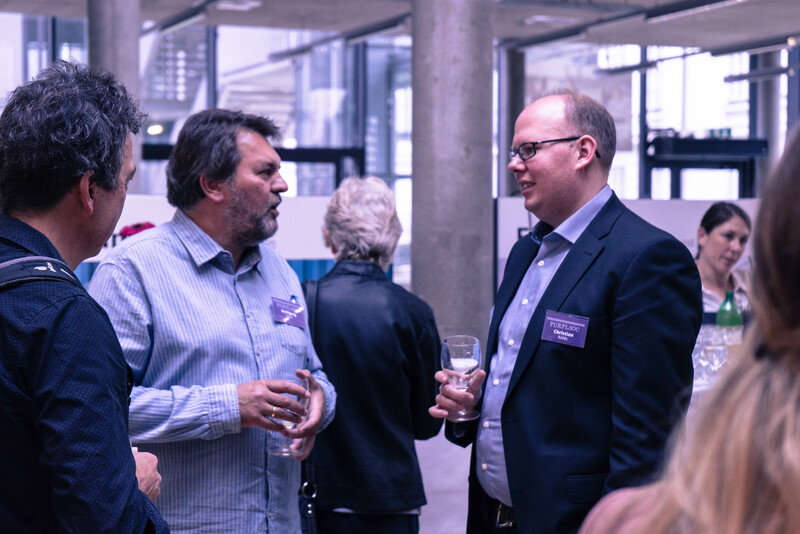 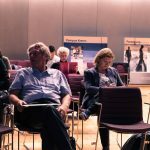 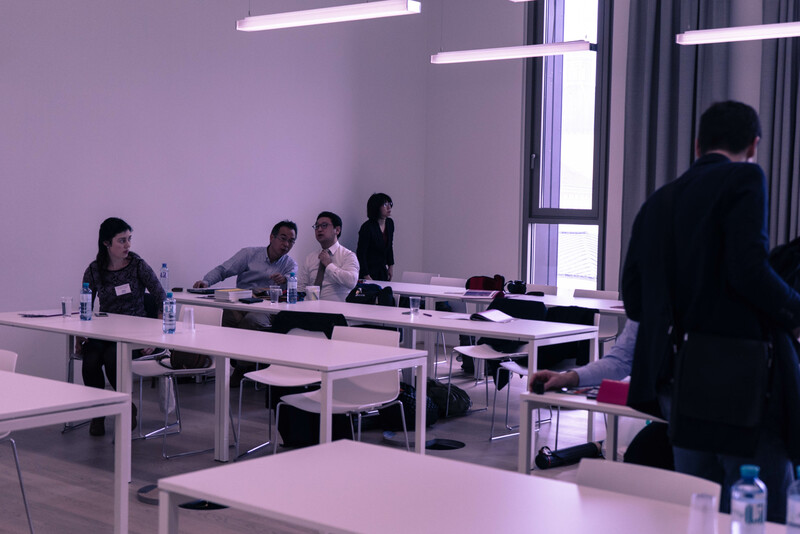 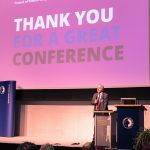 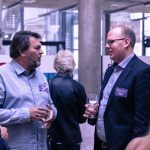 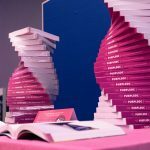 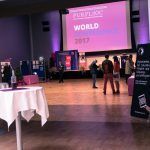 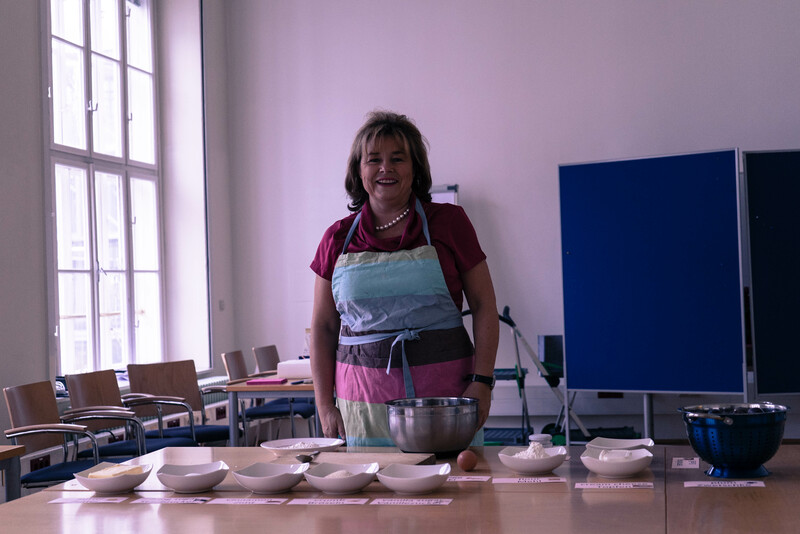 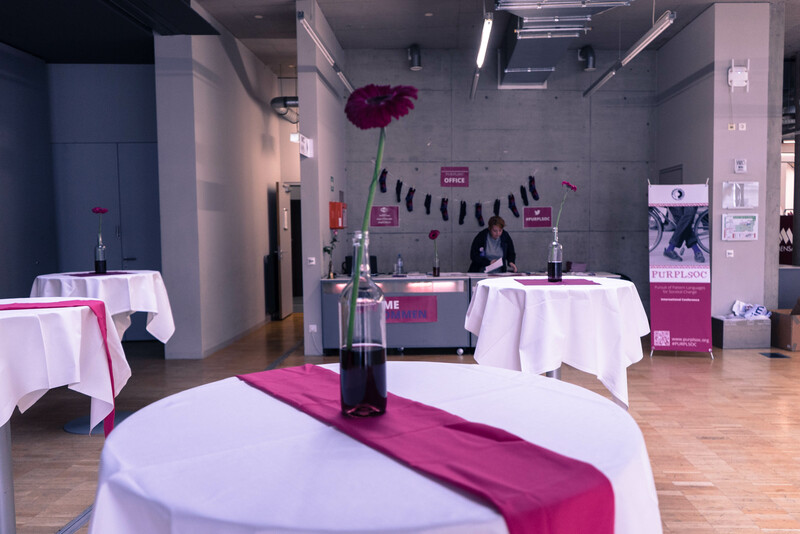 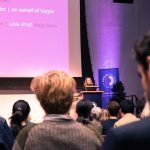 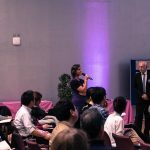 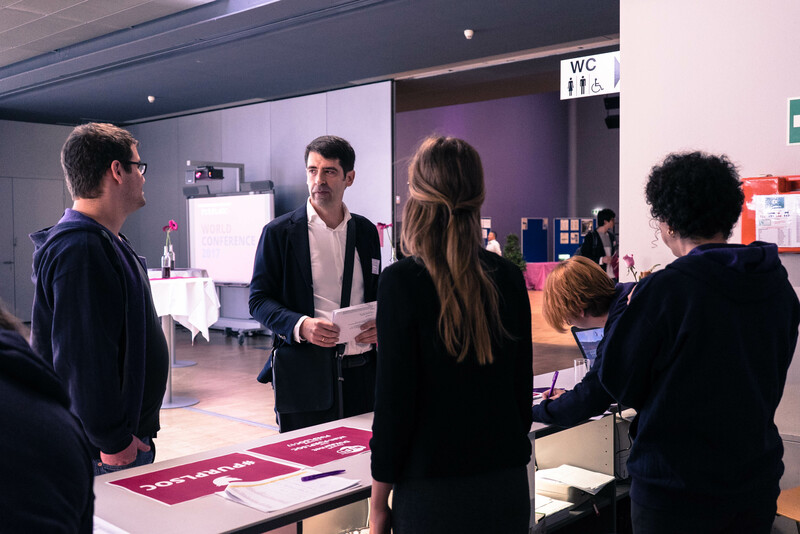 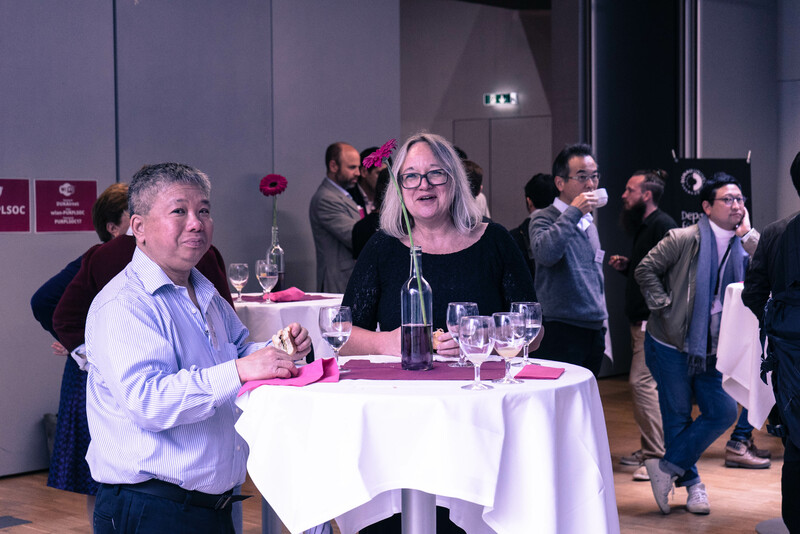 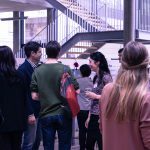 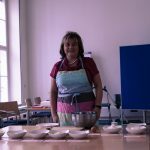 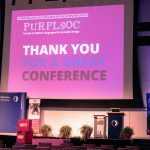 At the PURPLSOC 2017 conference, which took place at Danube University Krems from 19. to 21. 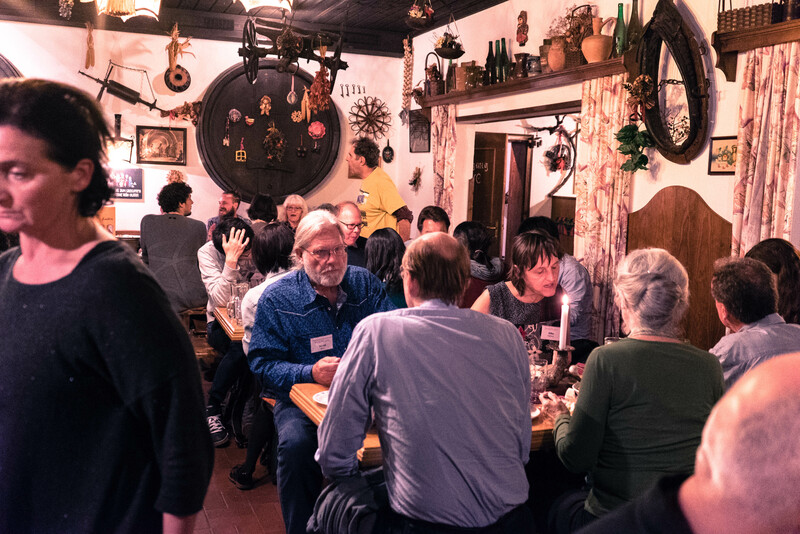 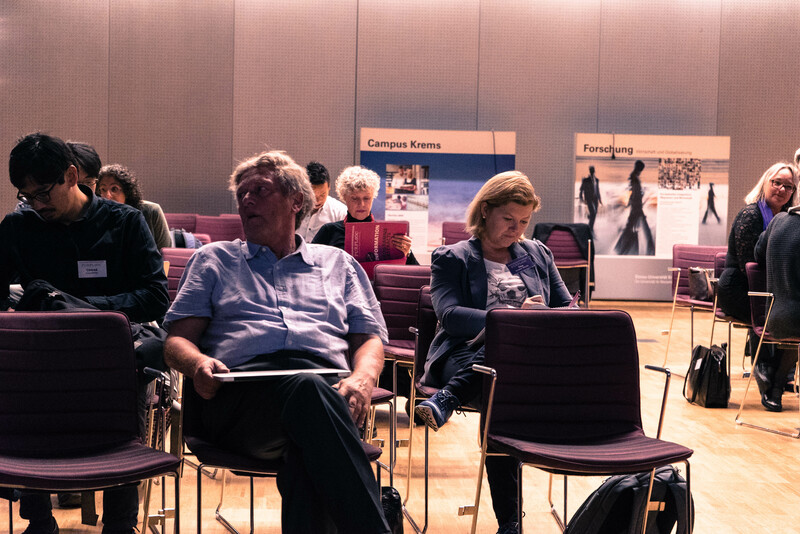 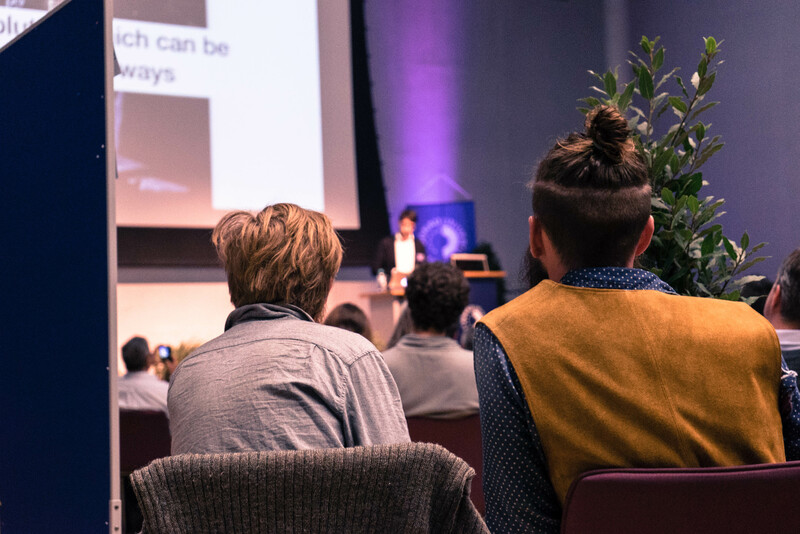 October, 70 scientists came together to share and discuss the latest research in the field. 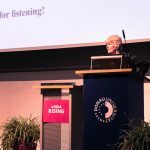 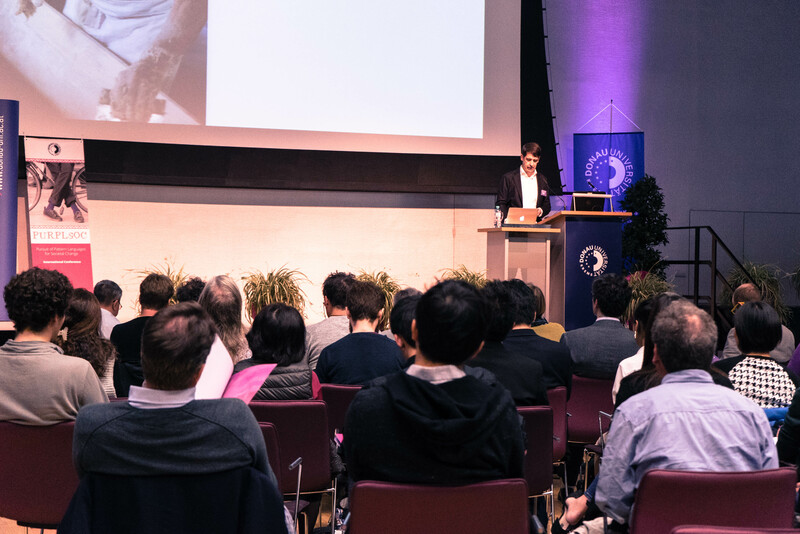 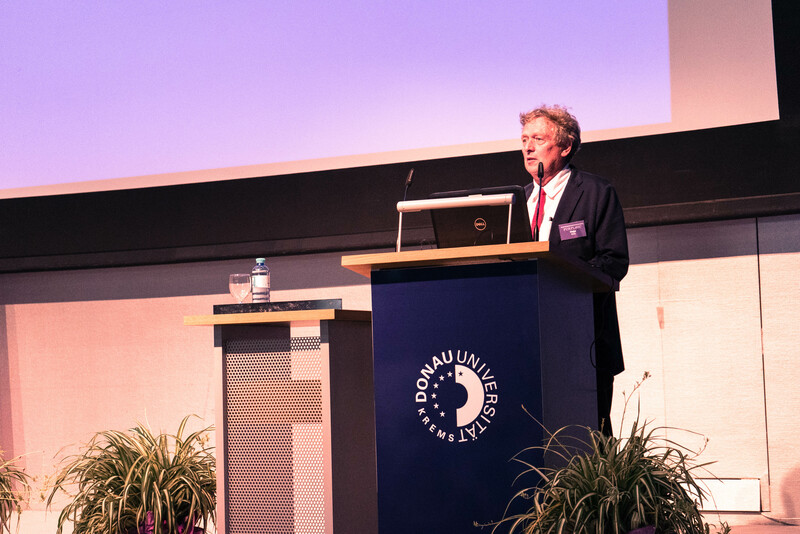 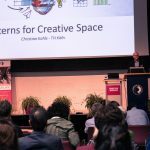 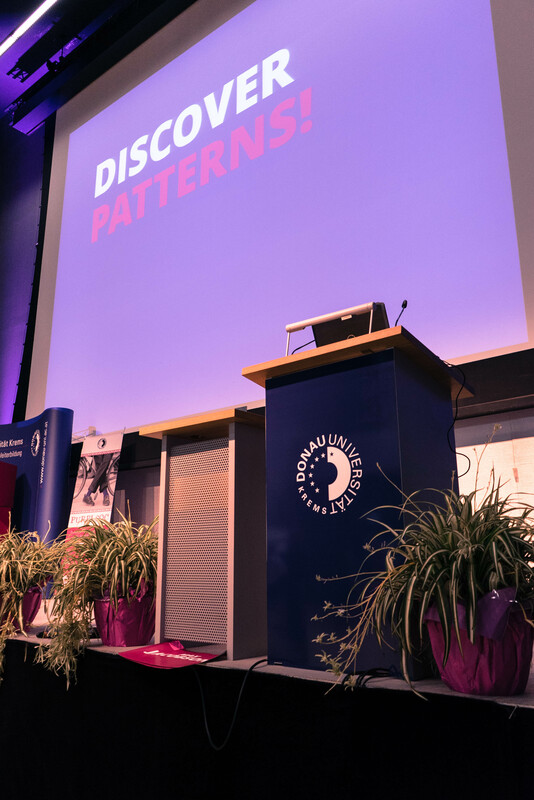 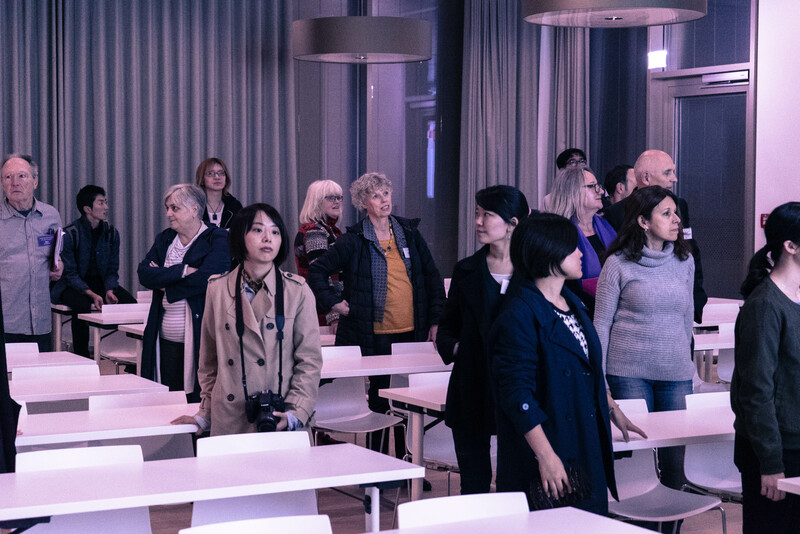 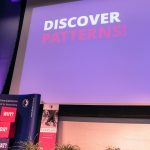 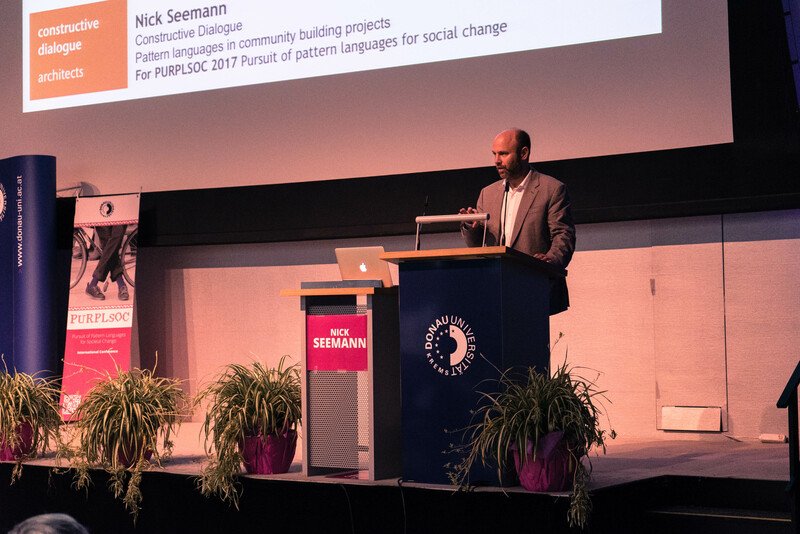 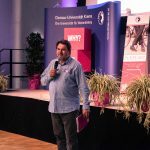 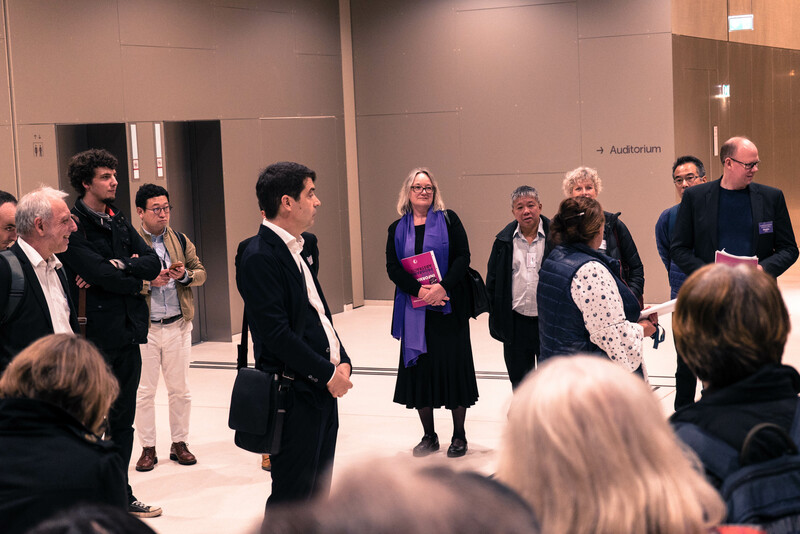 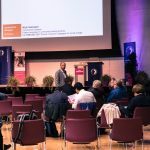 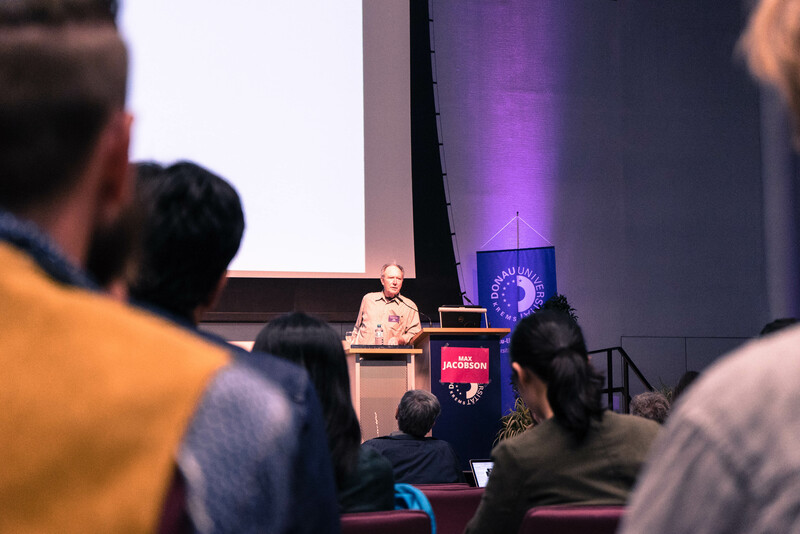 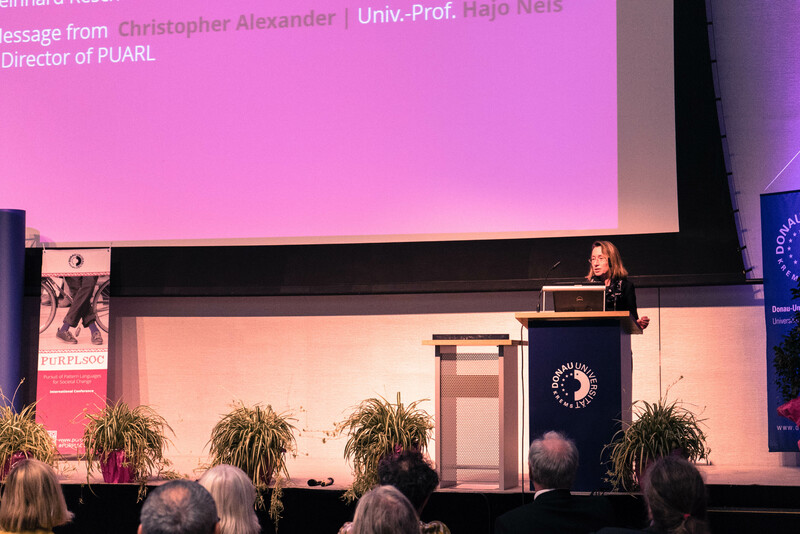 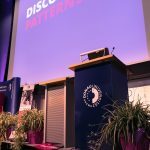 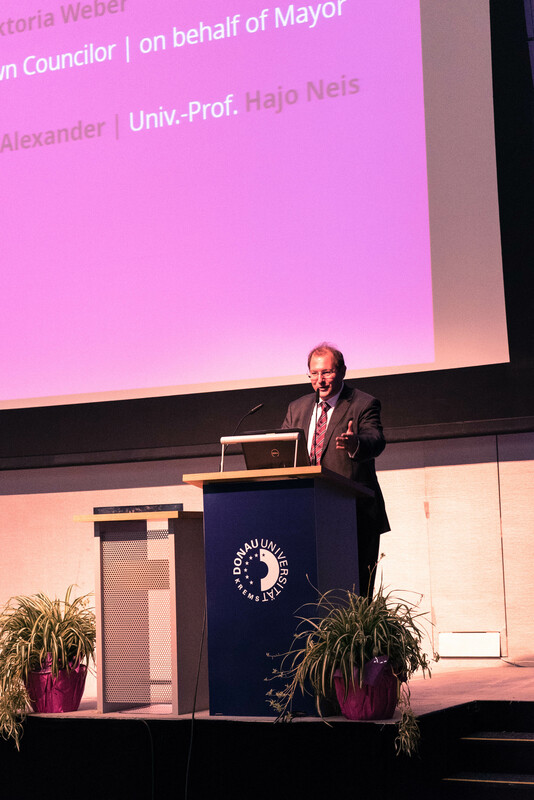 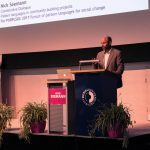 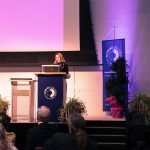 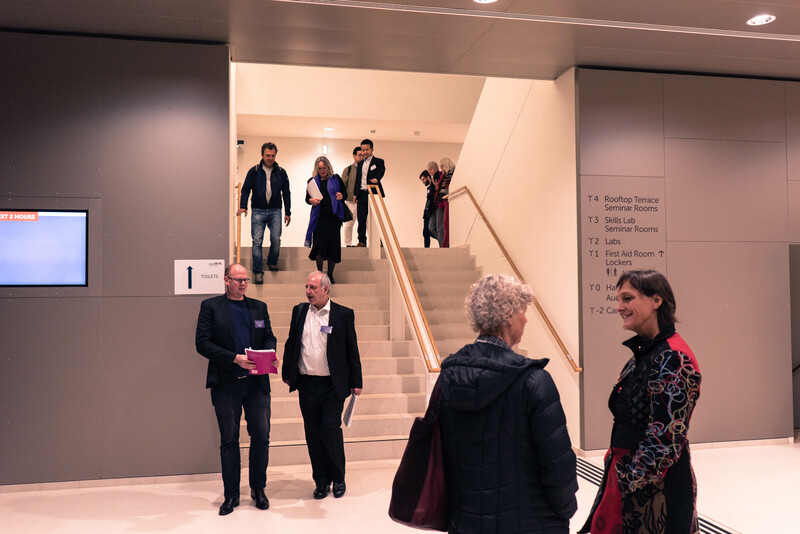 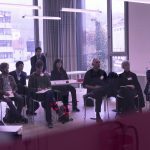 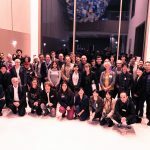 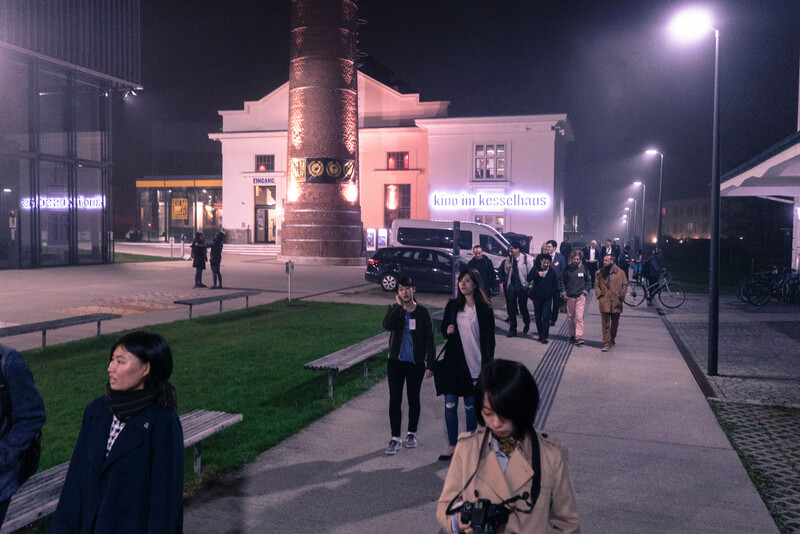 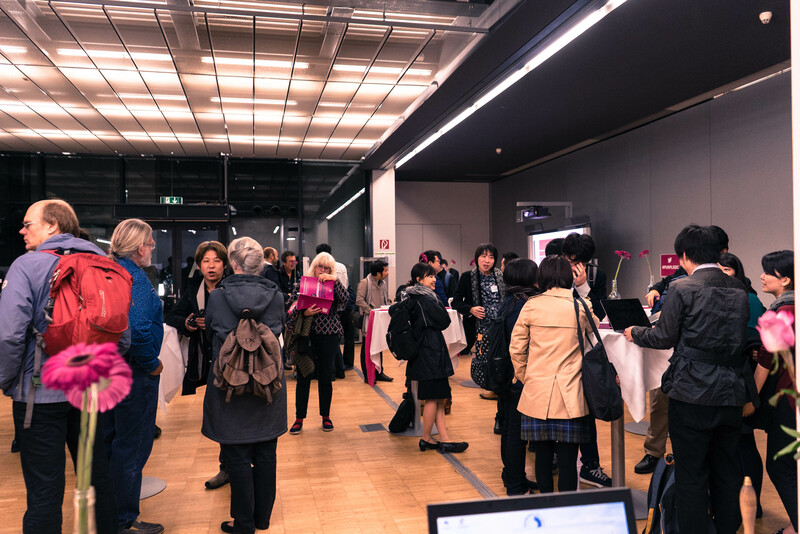 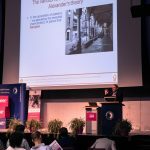 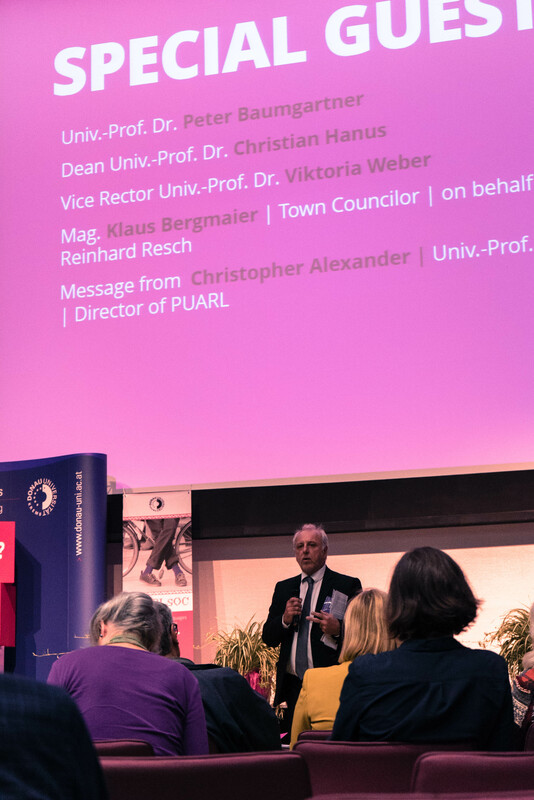 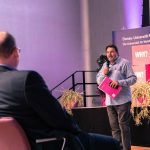 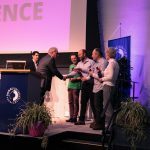 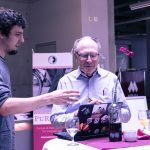 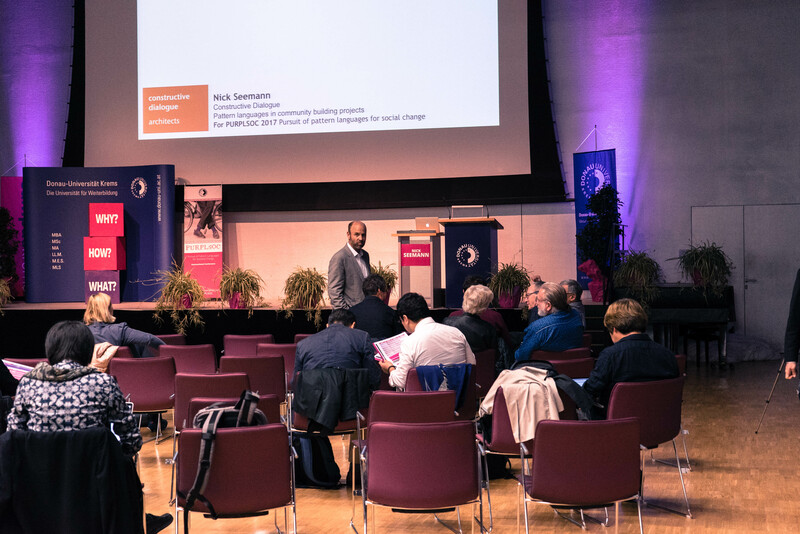 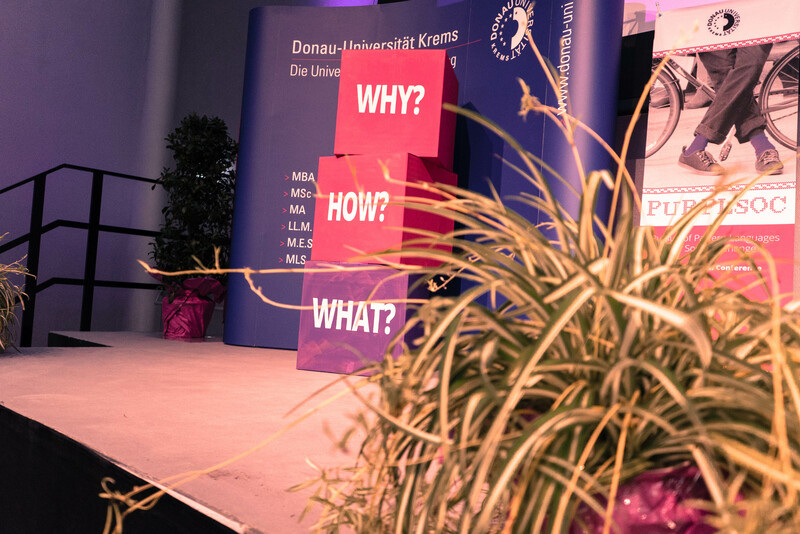 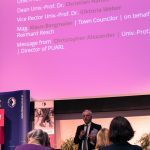 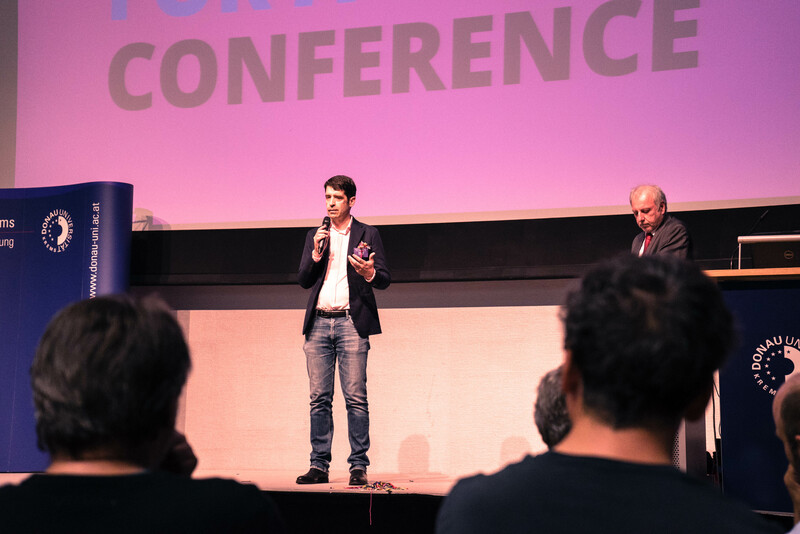 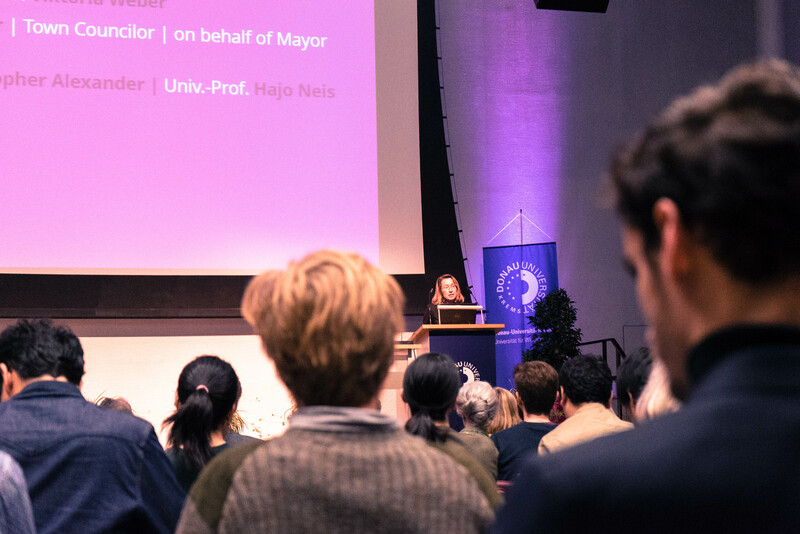 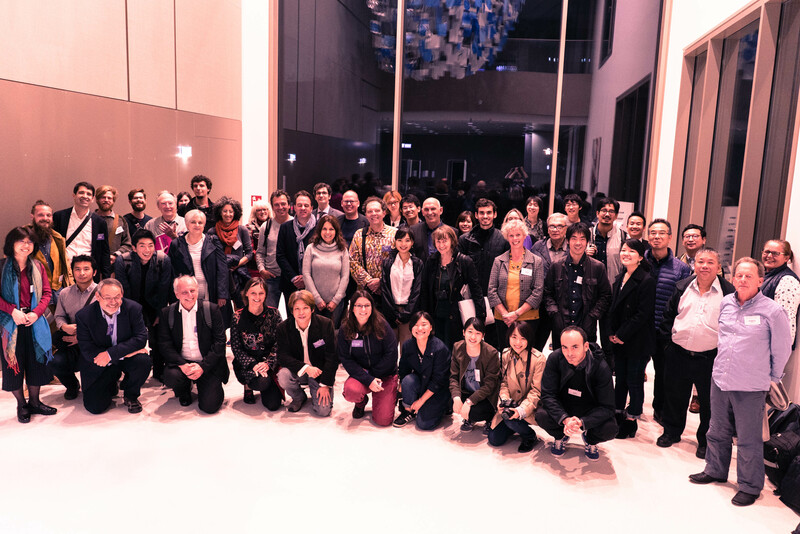 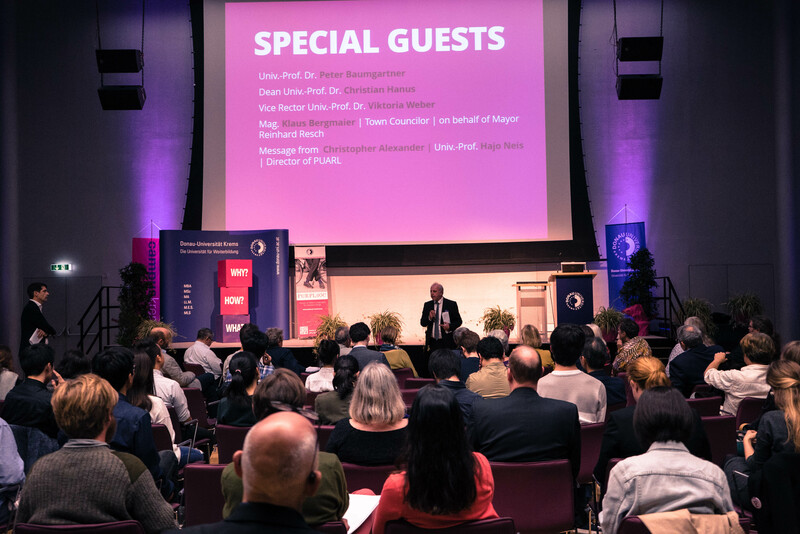 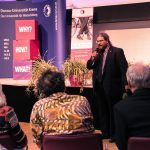 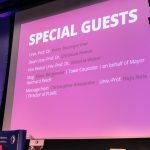 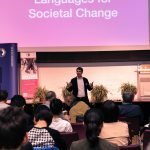 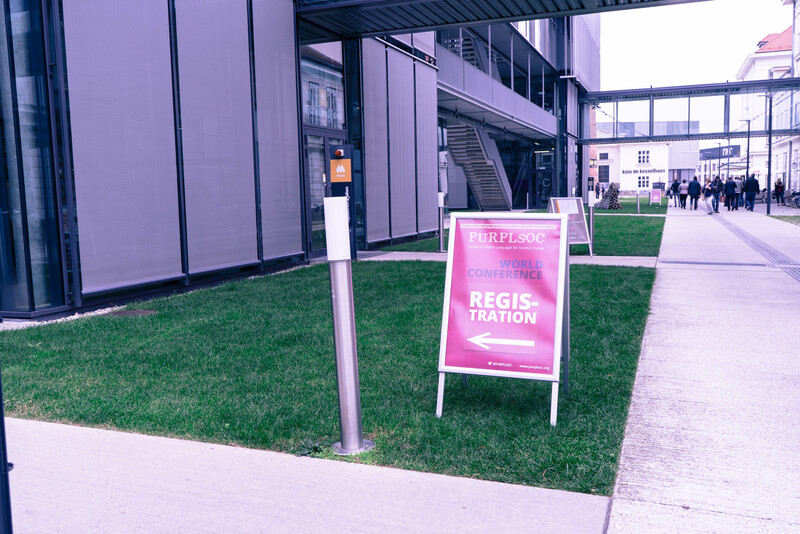 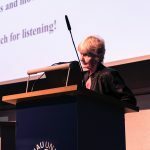 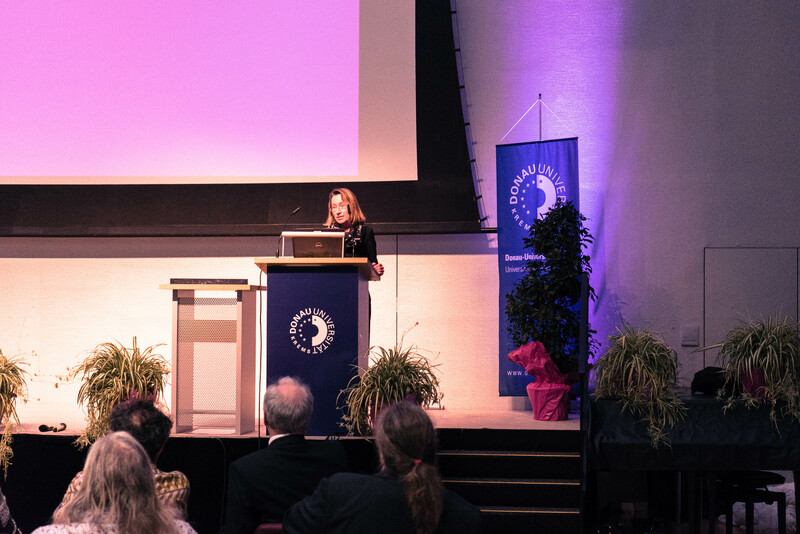 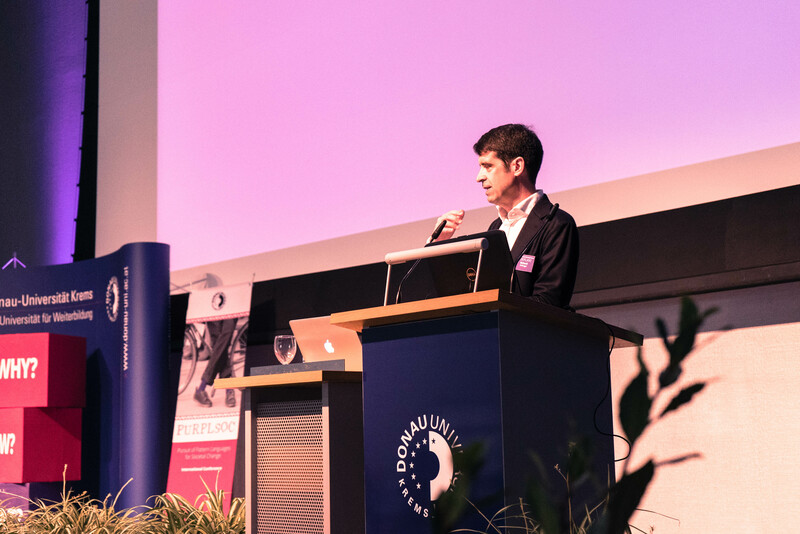 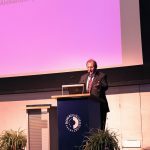 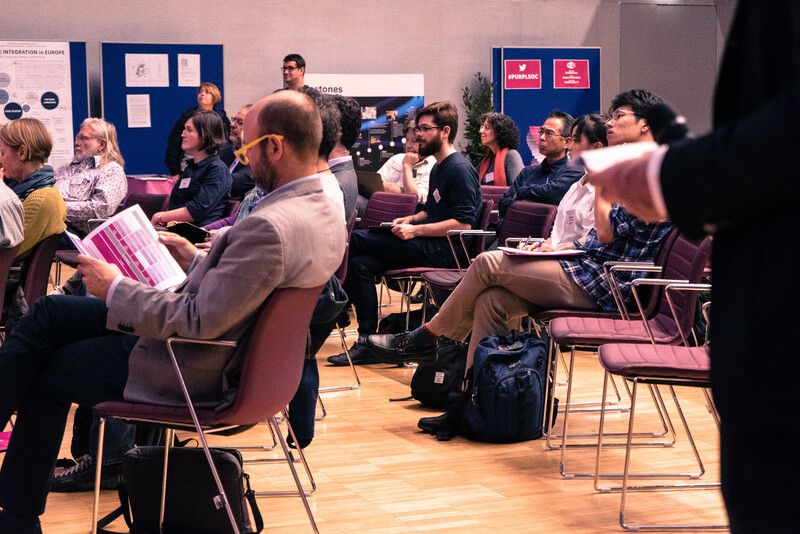 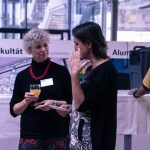 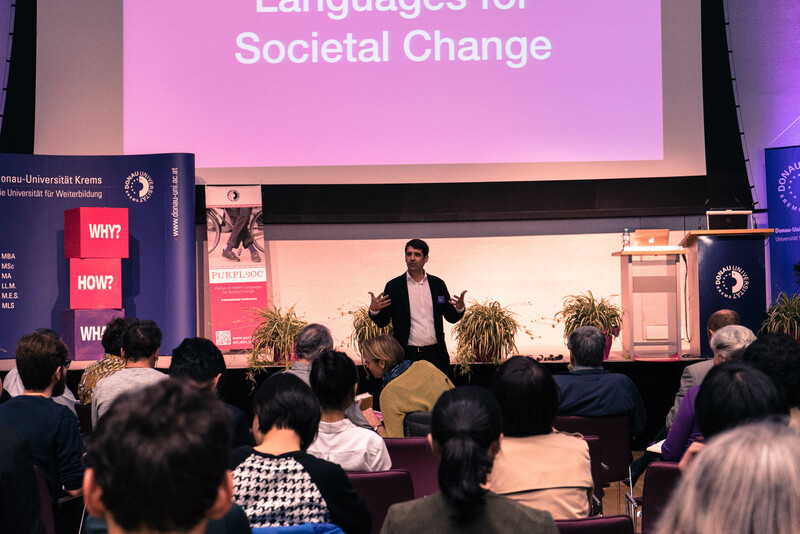 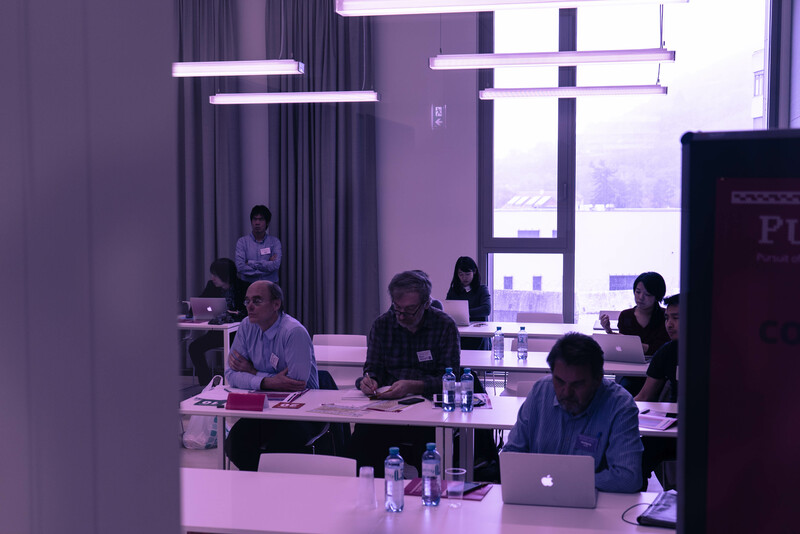 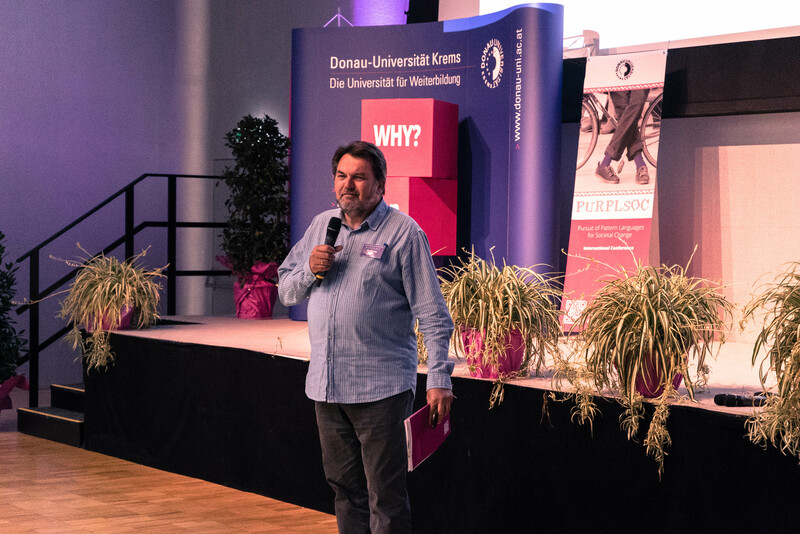 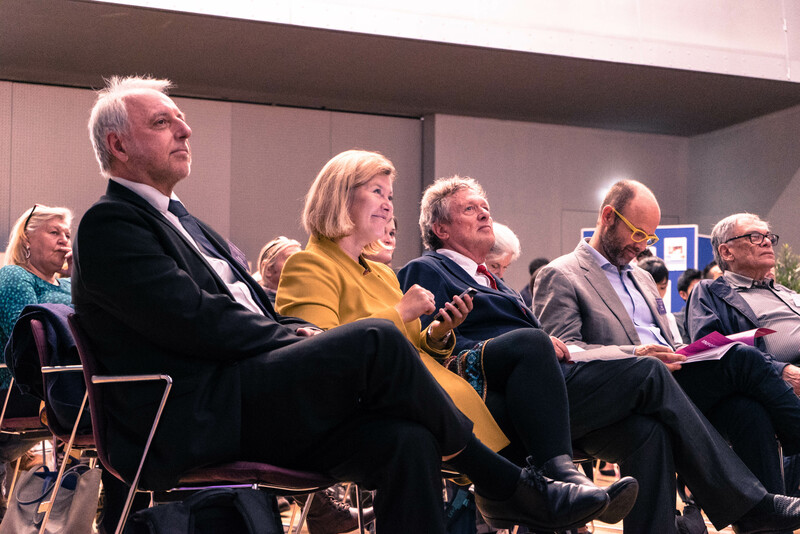 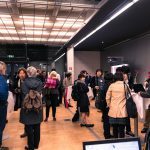 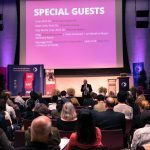 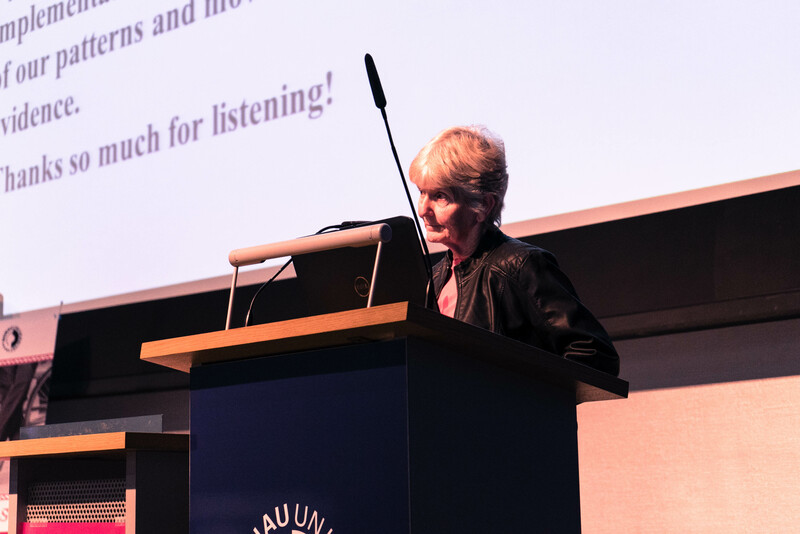 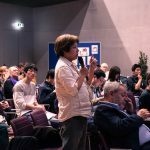 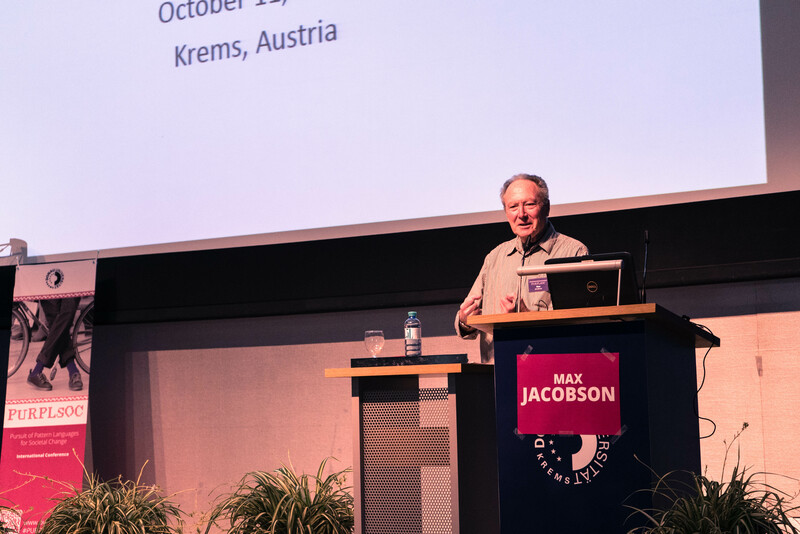 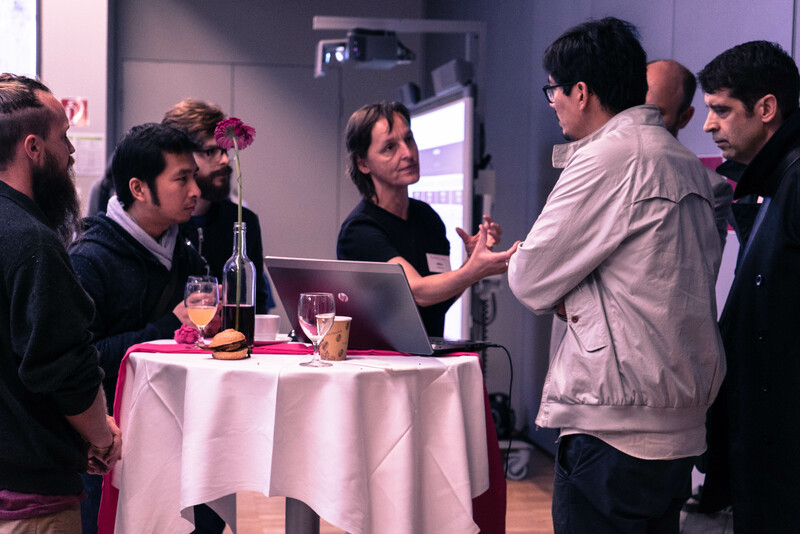 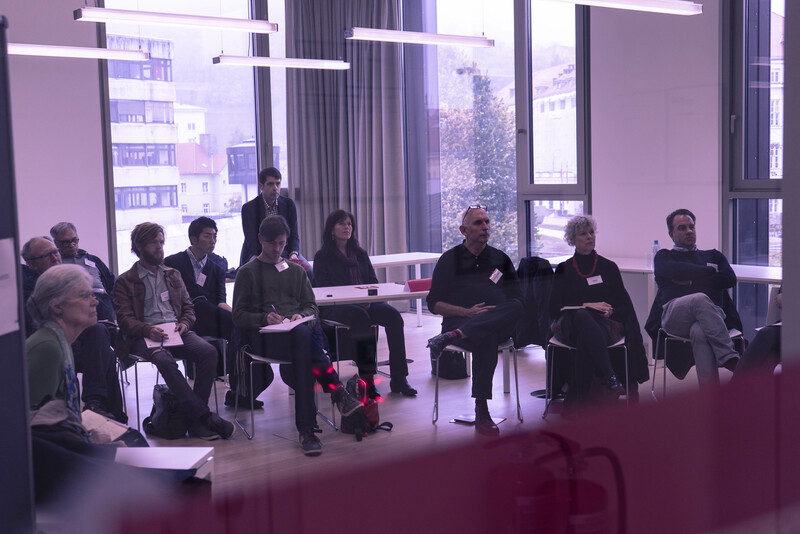 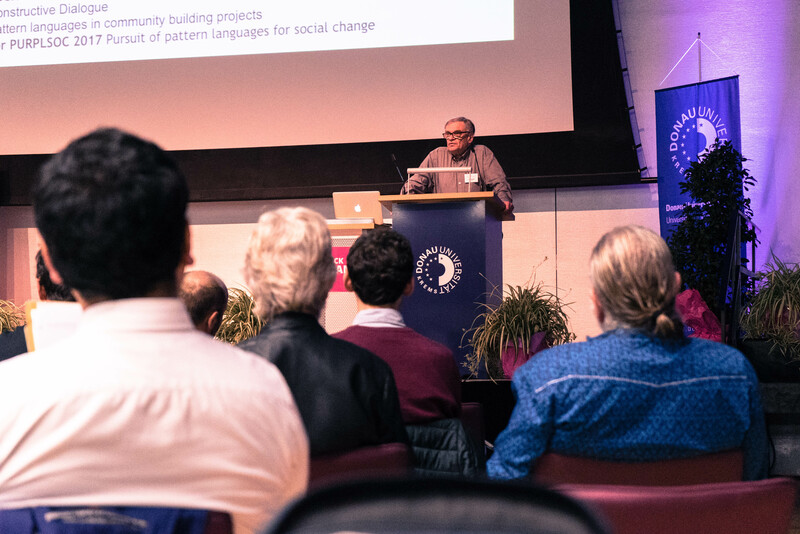 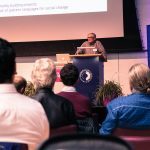 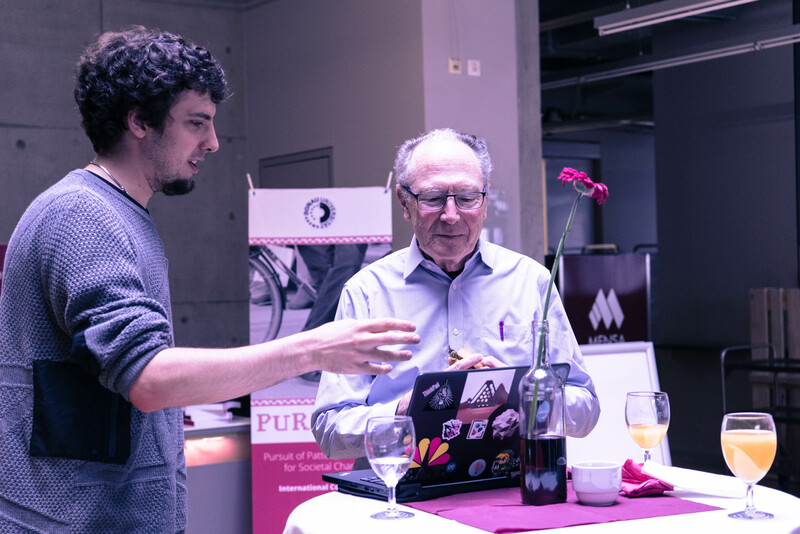 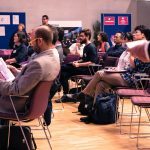 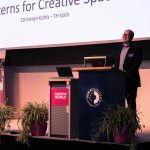 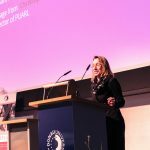 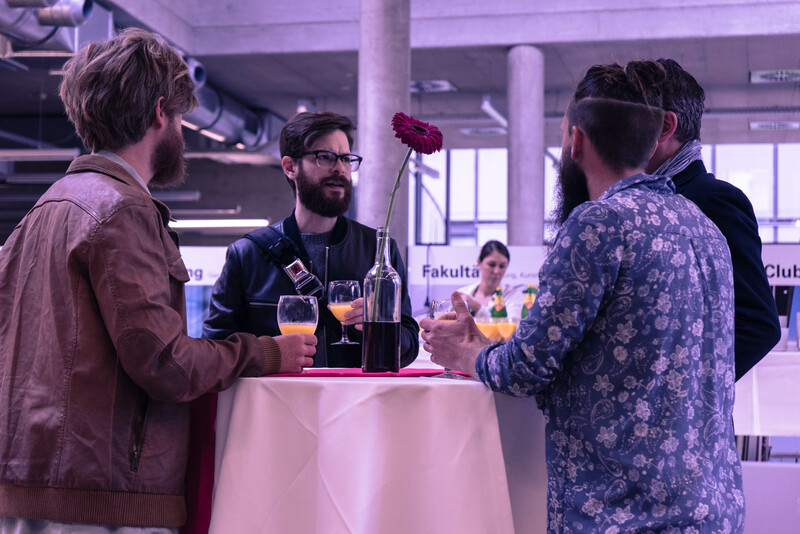 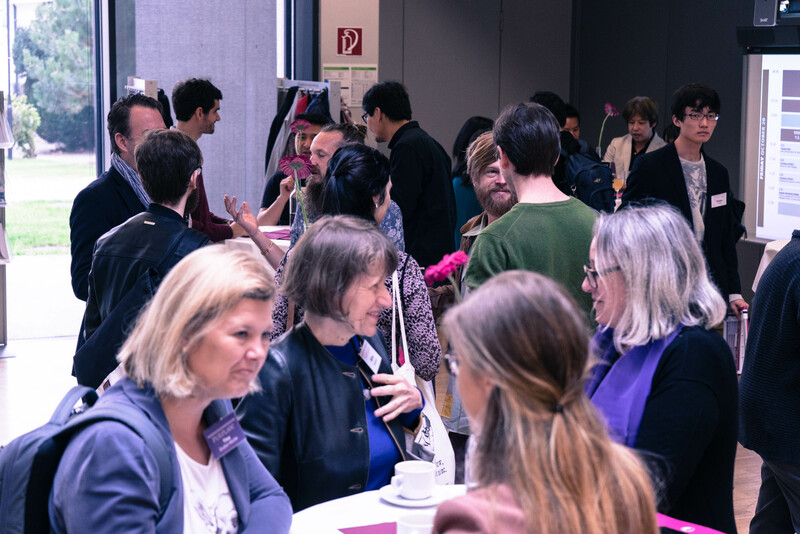 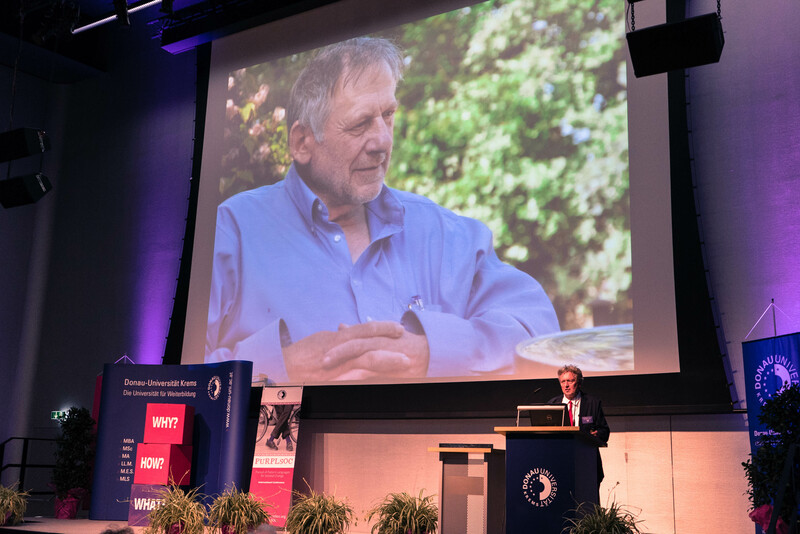 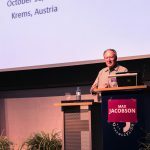 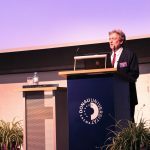 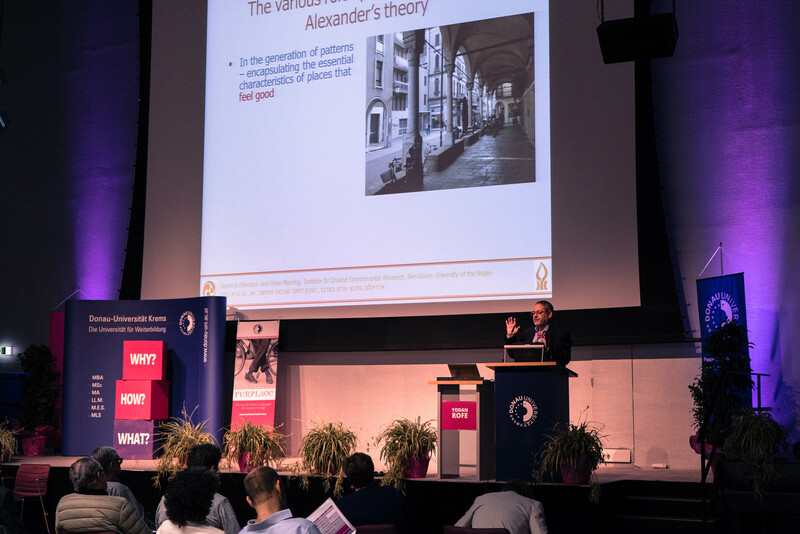 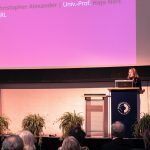 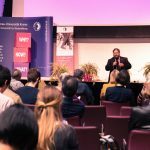 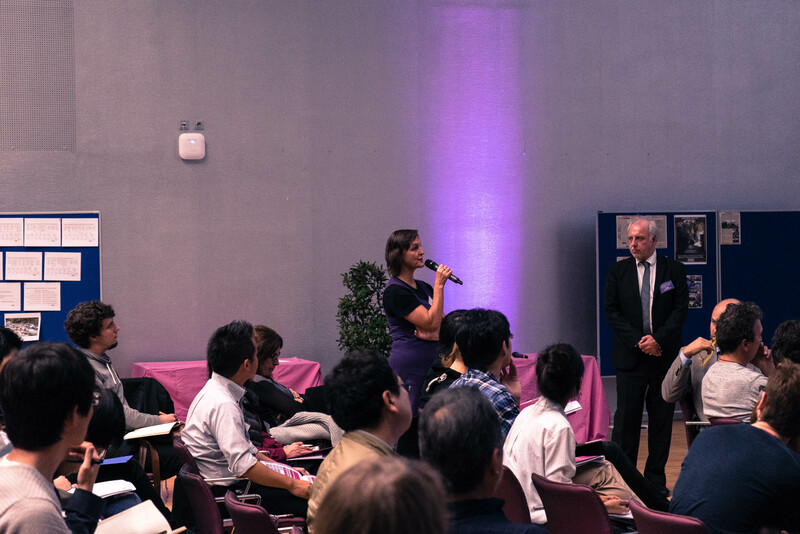 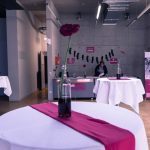 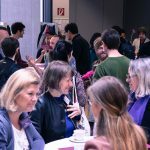 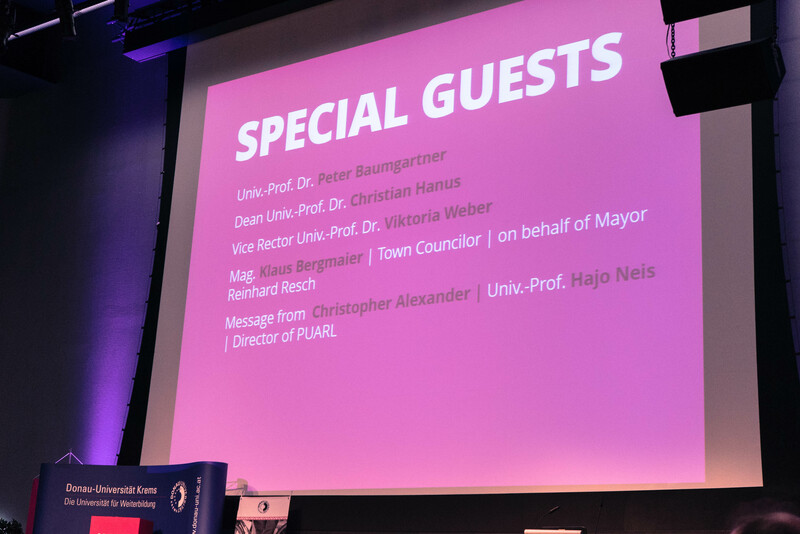 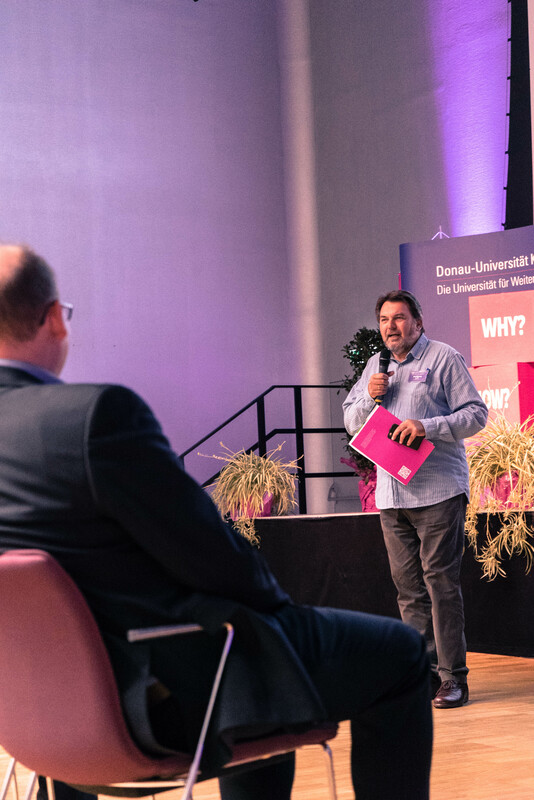 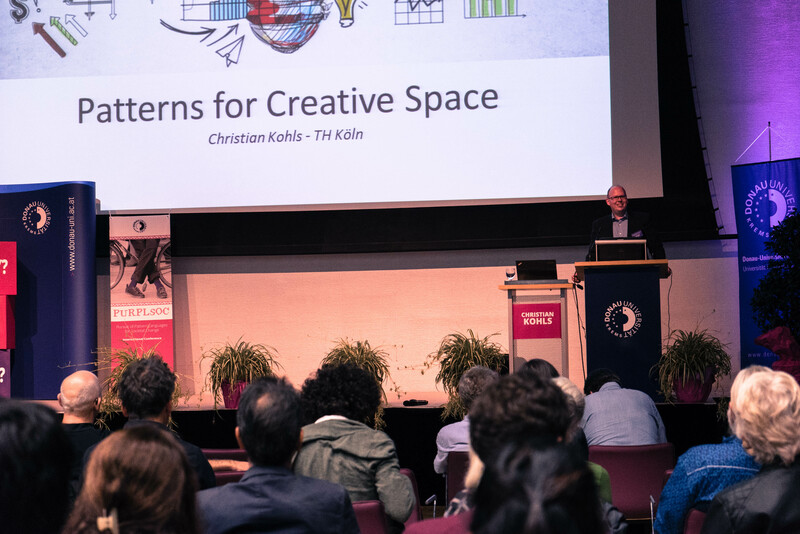 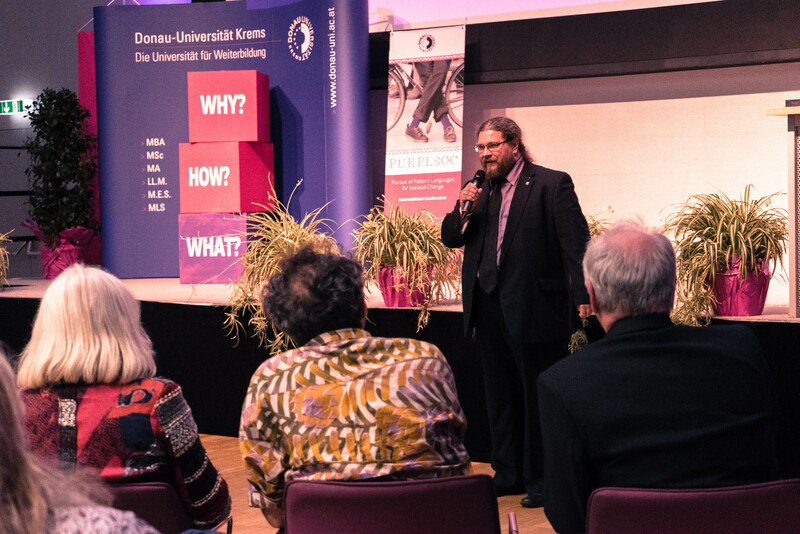 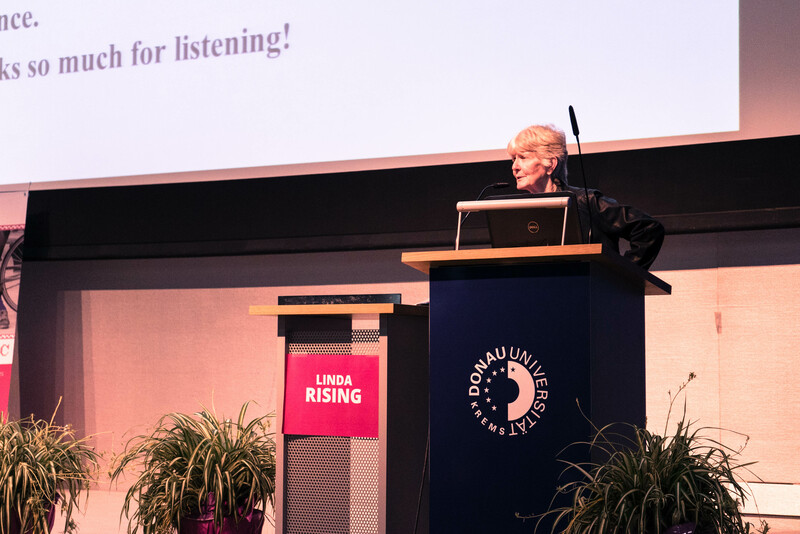 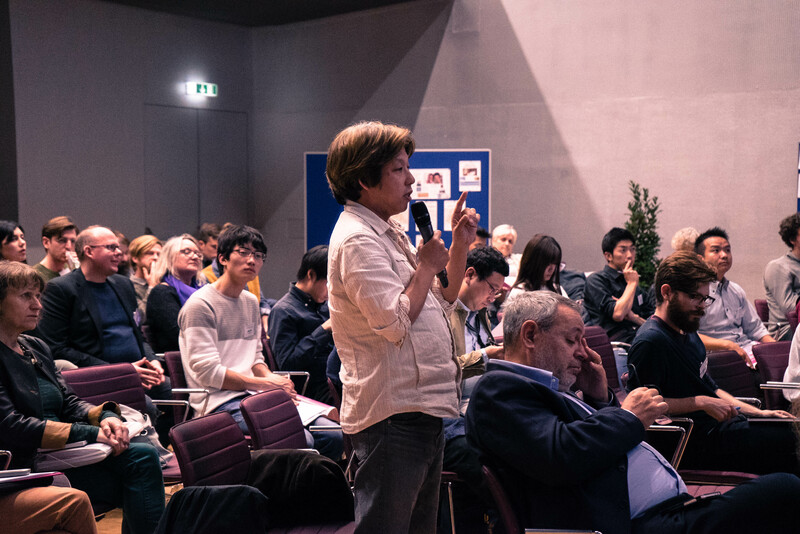 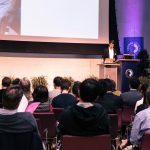 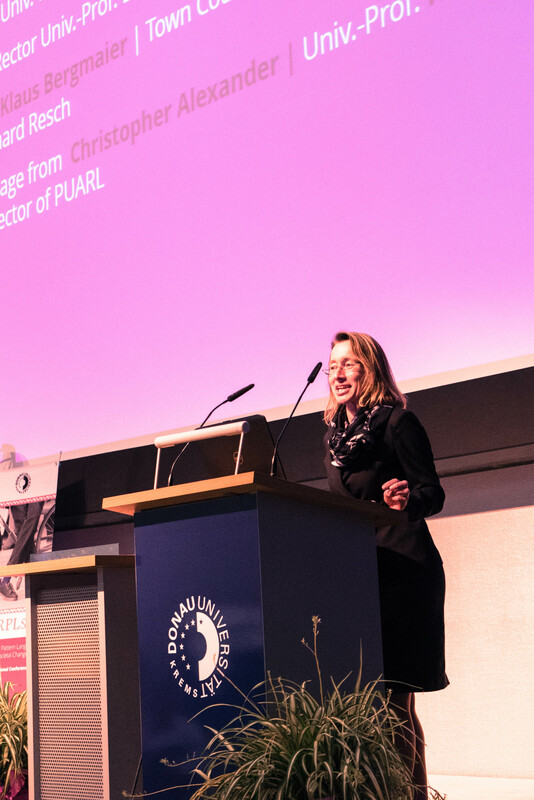 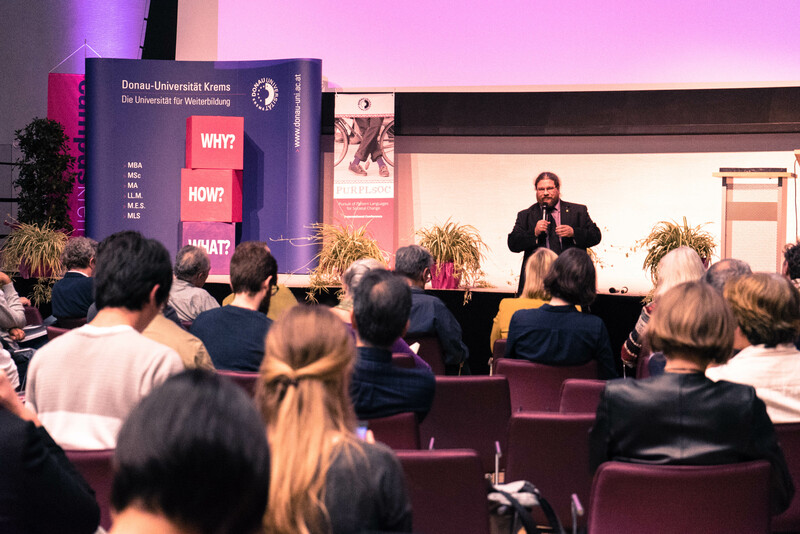 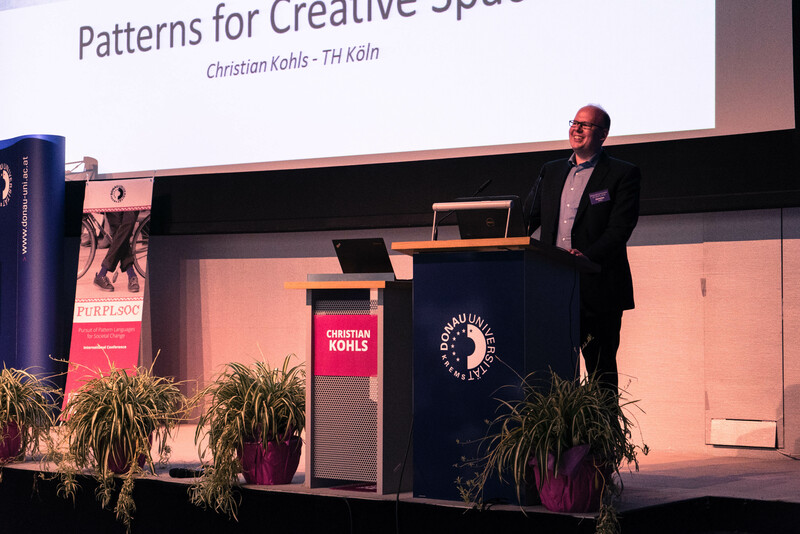 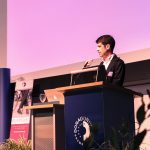 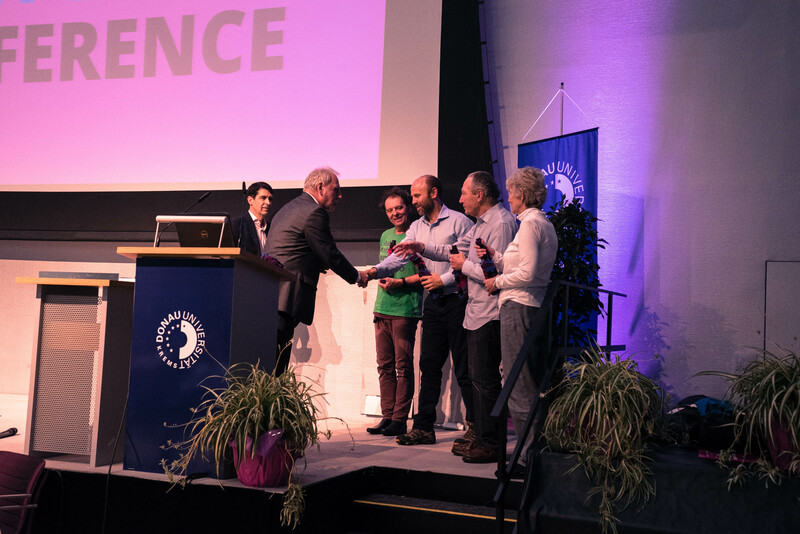 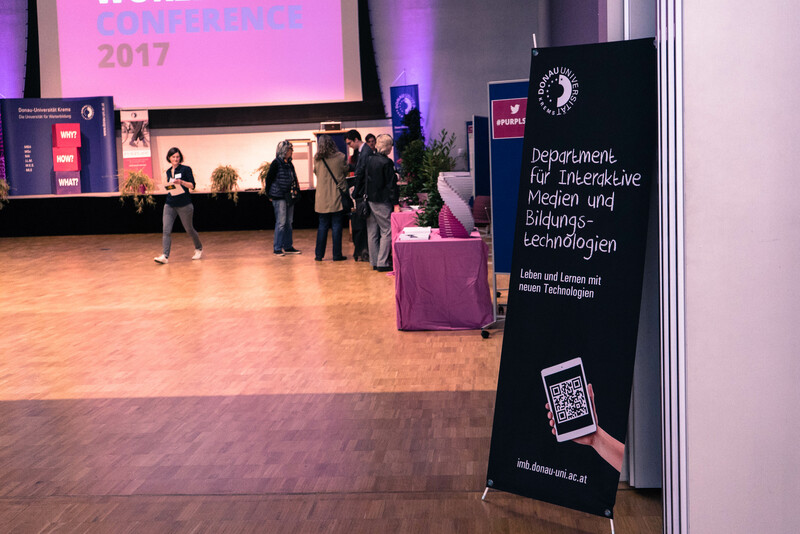 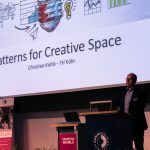 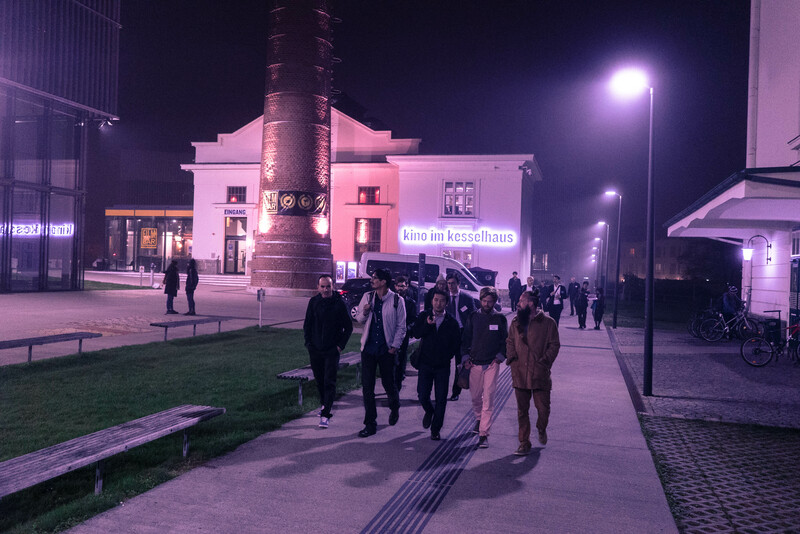 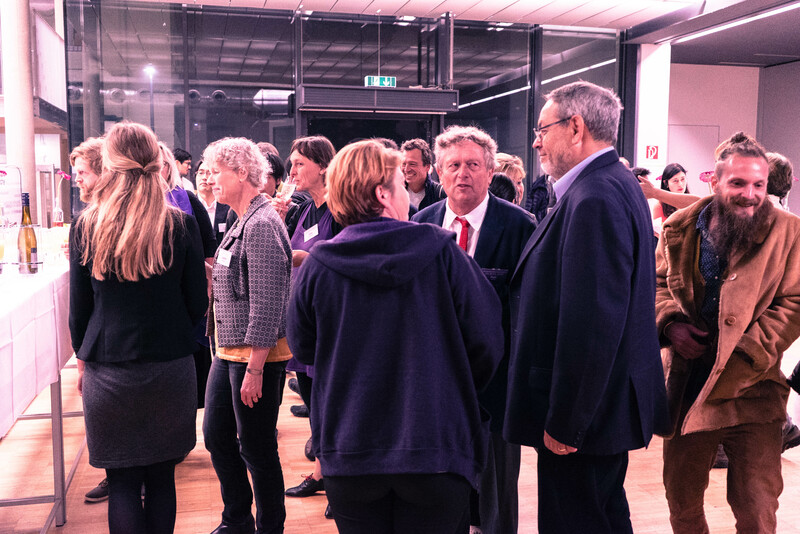 The Second World Conference PURPLSOC 2017 at Krems – a cooperation of the Departments for Interactive Media and Educational Technologies as well as Building and Environment – offered an overview of the newest developments in the application of the pattern language approach of Christopher Alexander in different fields, such as education, media, software development, management, pedagogy, health care, politics, social innovation, integration, art, personal development and design. 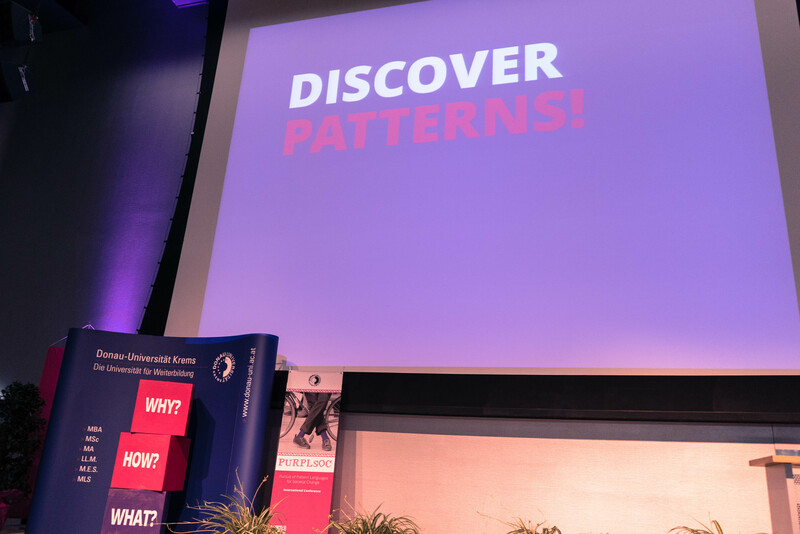 The Viennese-born architect and mathematician Christopher Alexander, whose academic stations include Cambridge, Harvard and Berkeley, developed the pattern language approach in his book “A Pattern Language” in 1977. 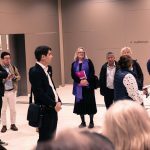 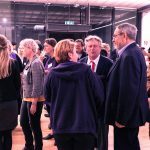 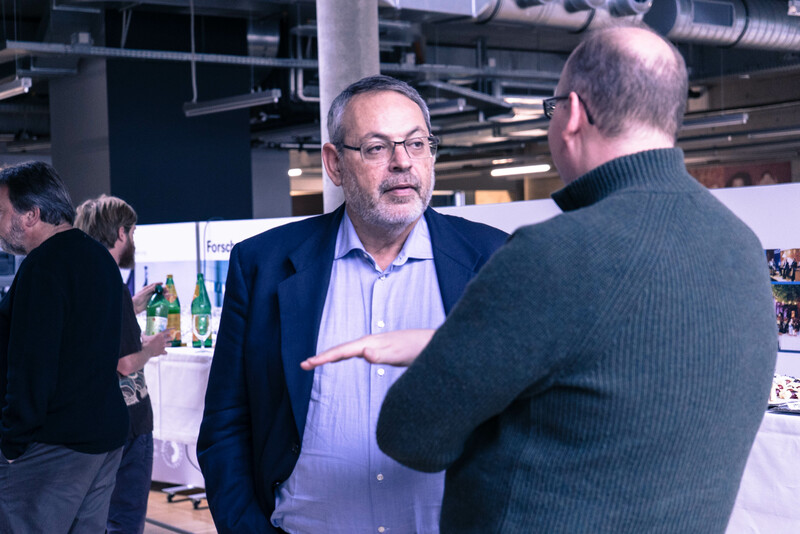 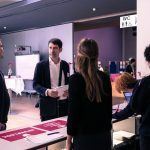 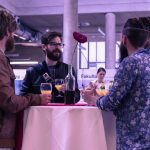 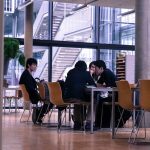 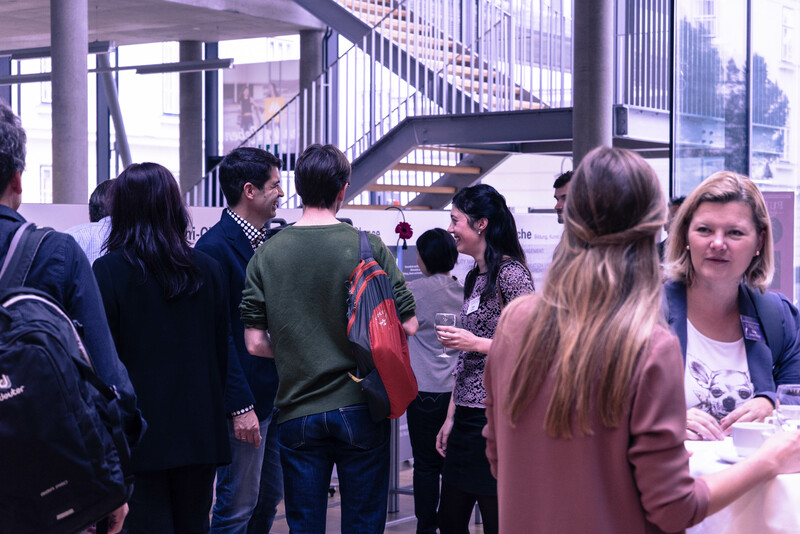 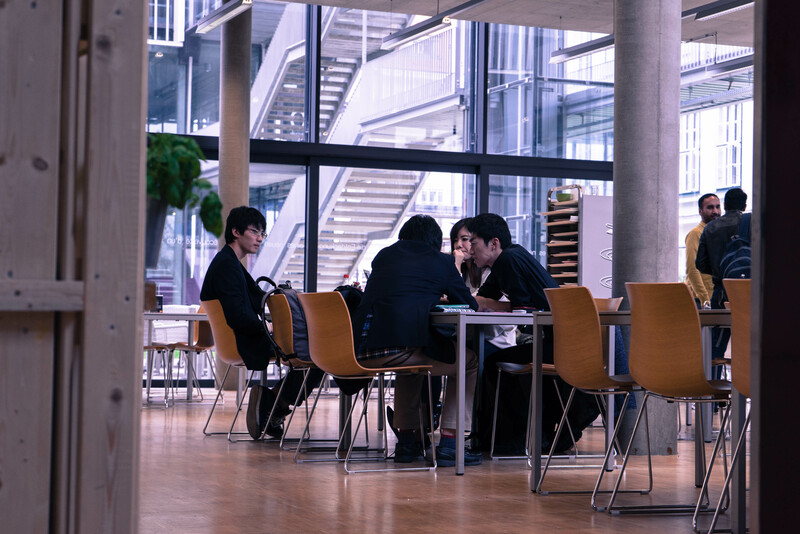 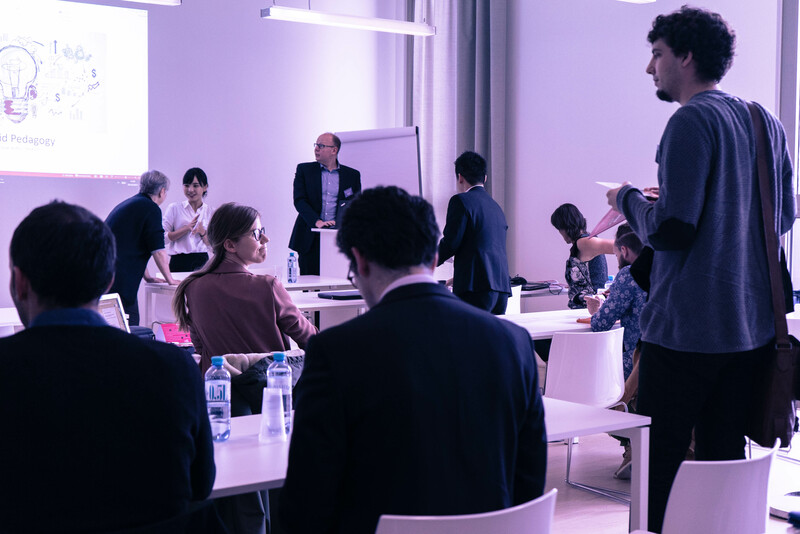 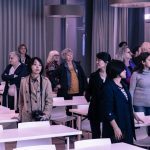 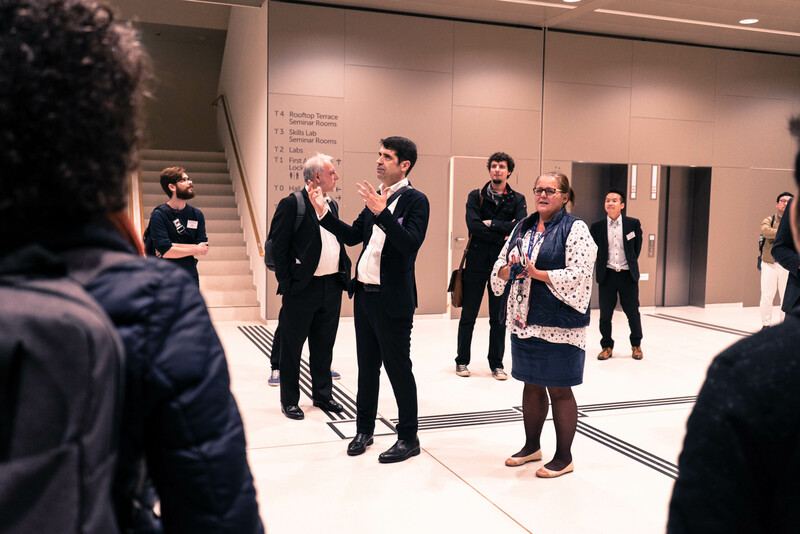 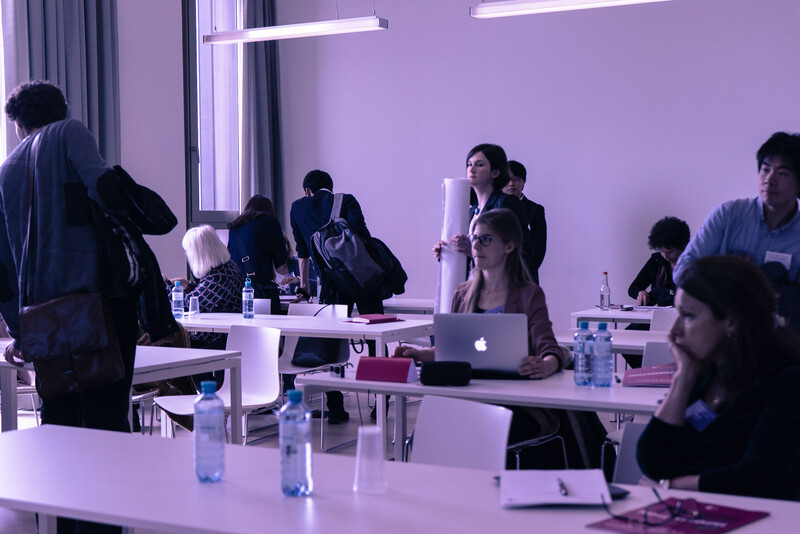 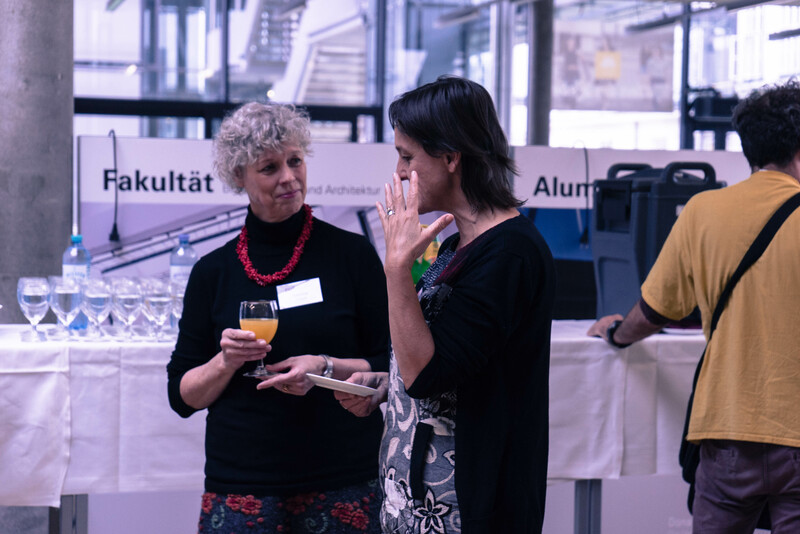 The approach enables an interdisciplinary exchange of information on complex issues and thus offers effective tools for participative cooperation beyond disciplinary and professional boundaries. 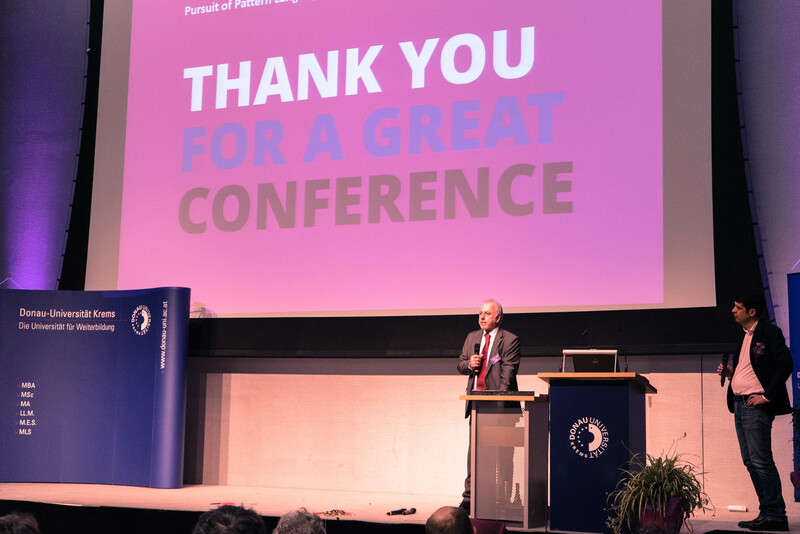 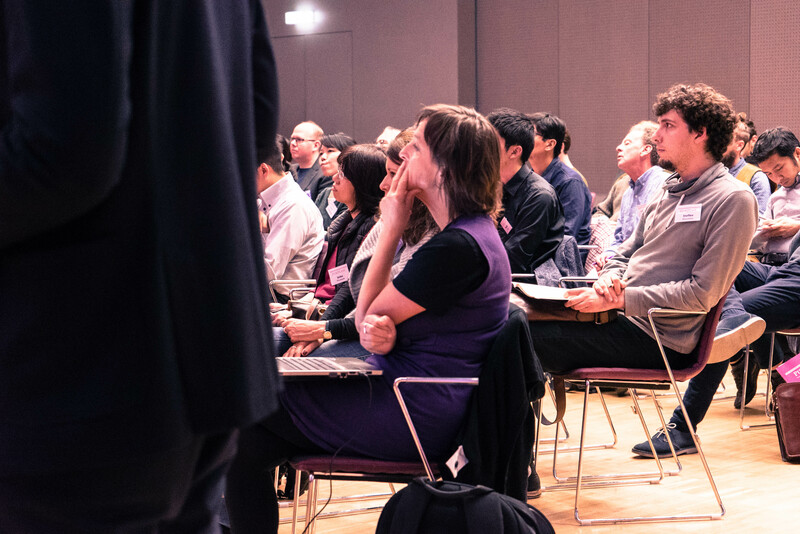 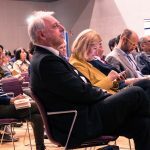 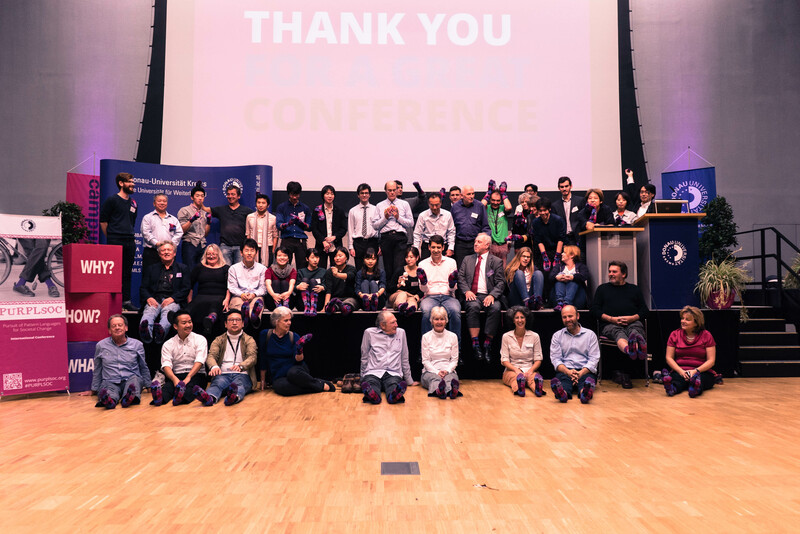 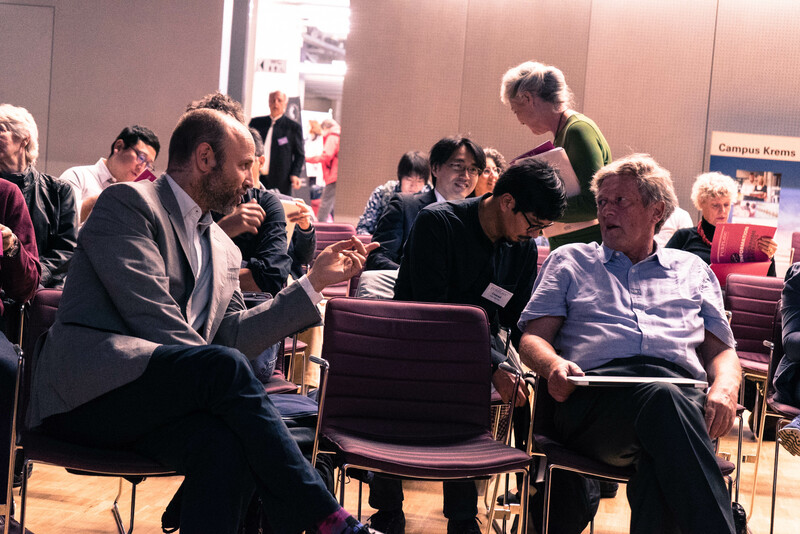 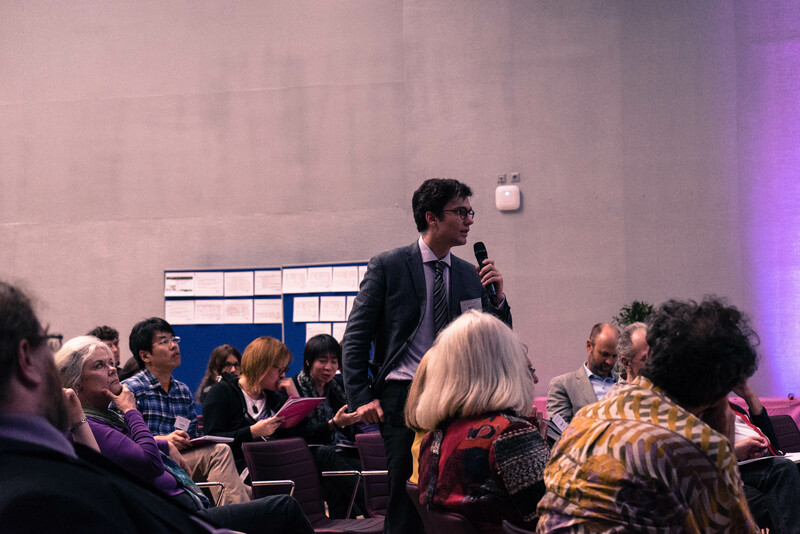 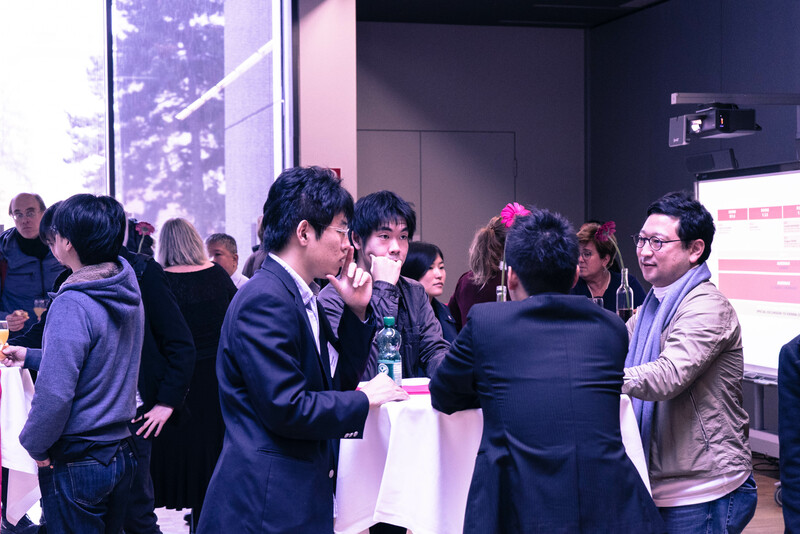 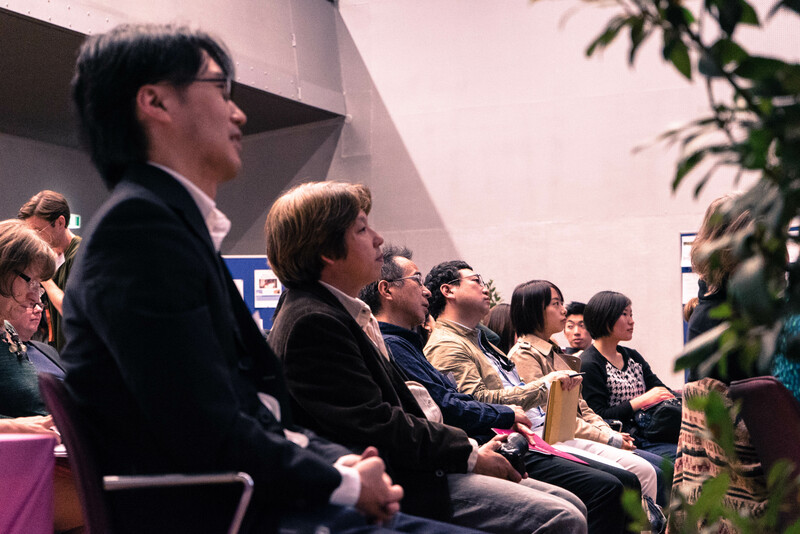 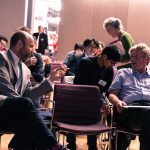 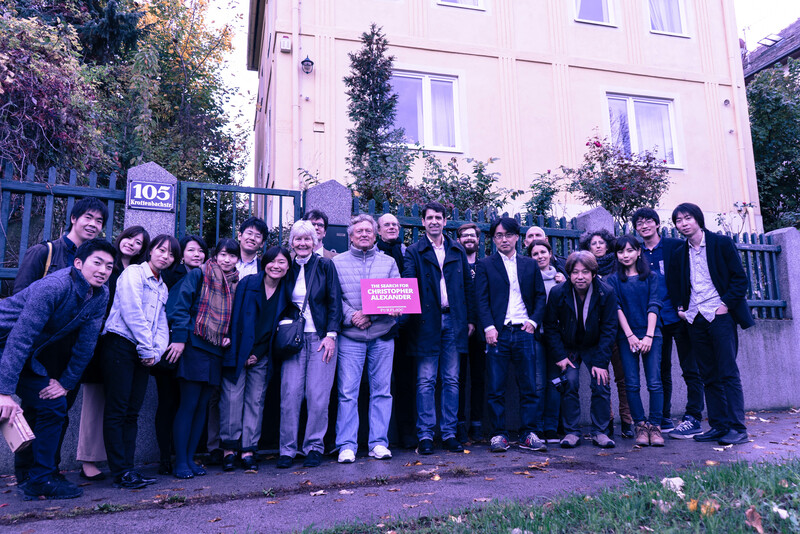 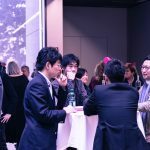 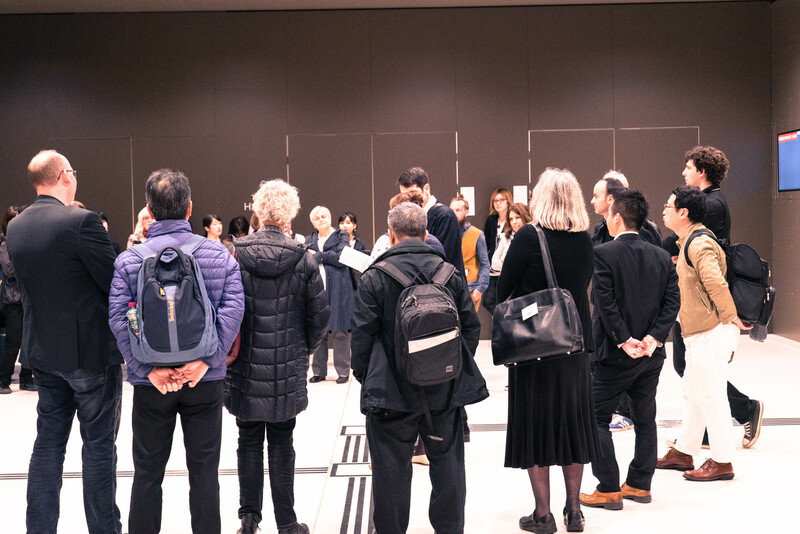 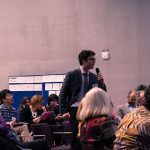 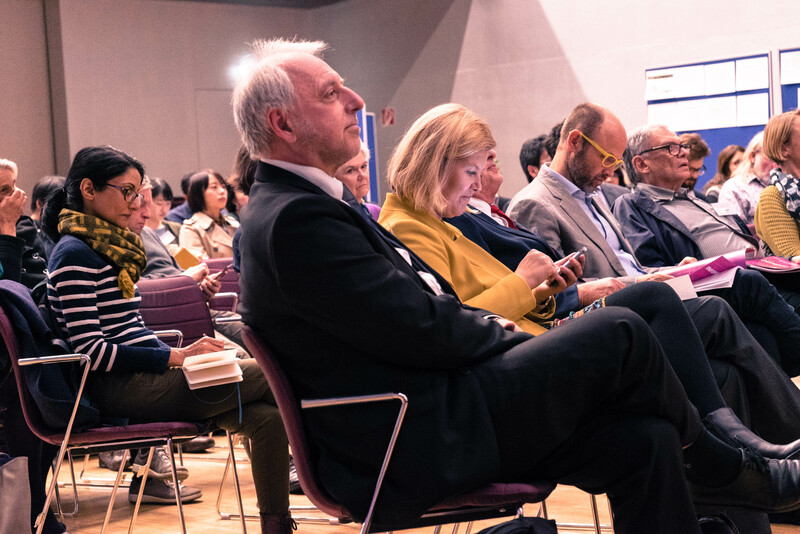 The conference – with close to 70 participants from 13 countries and from a wide range of disciplines – intensified the international attention for pattern related work, both in the scientific community and the wider public, by documenting its broad applicability and richness in altogether 47 Contributions and best practice examples from 13 countries – including Japan, the United States and Europe. 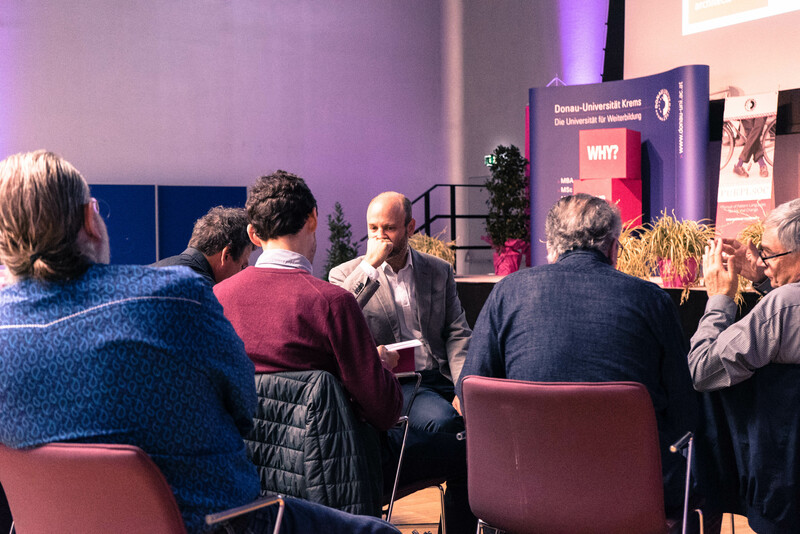 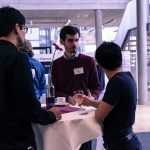 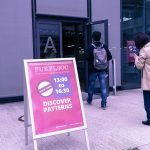 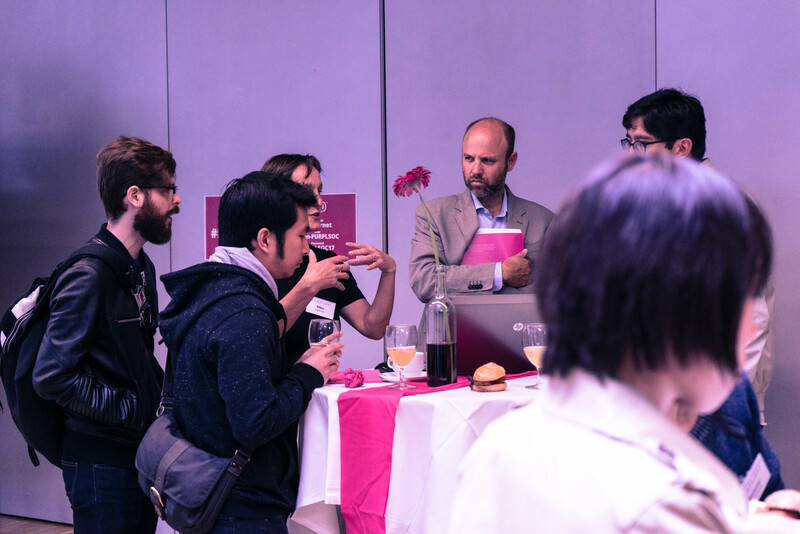 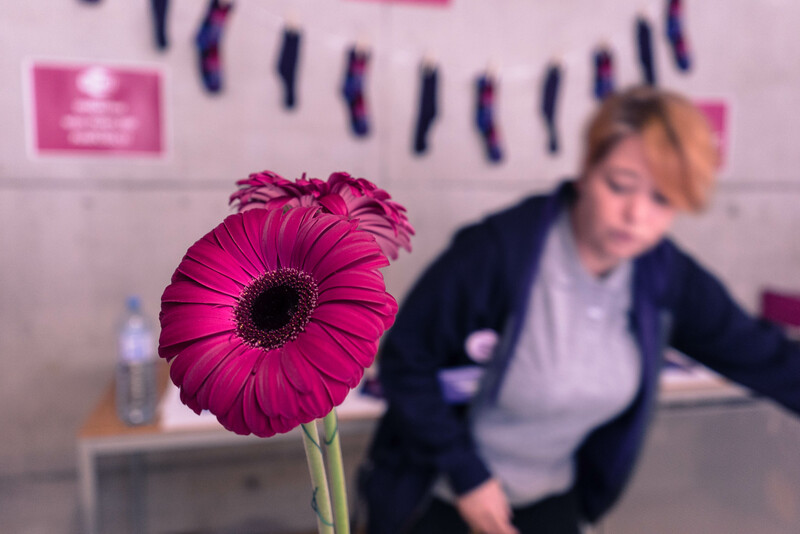 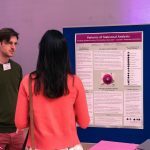 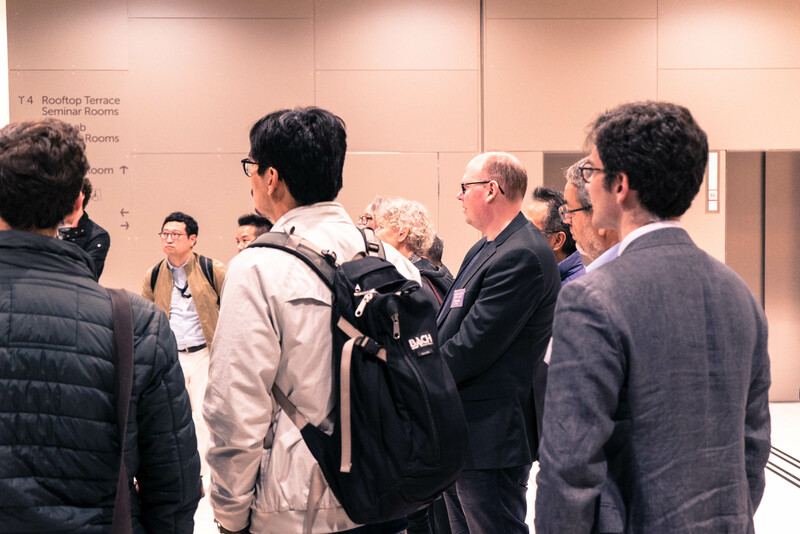 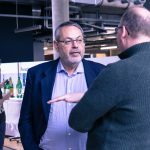 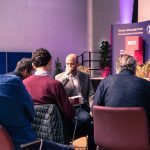 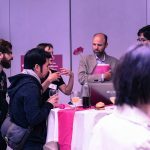 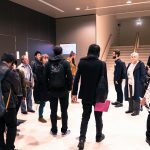 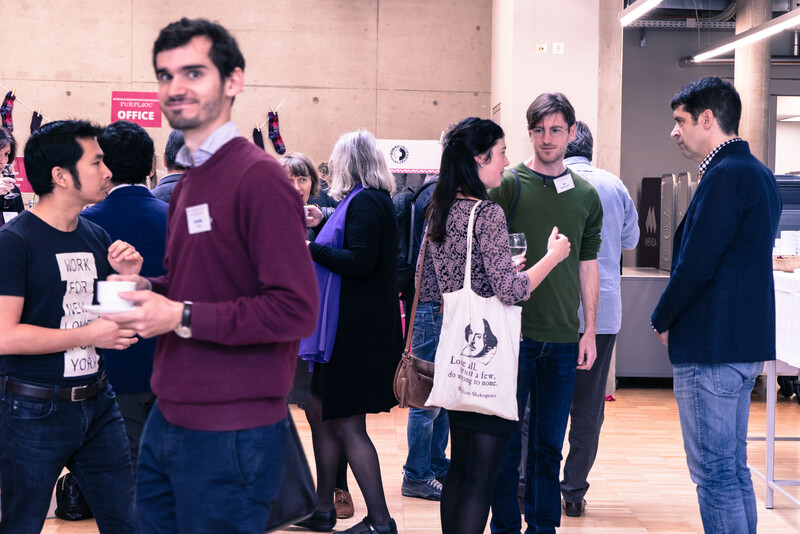 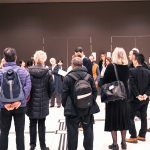 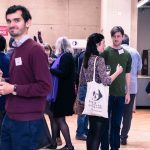 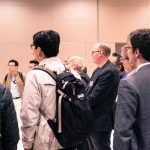 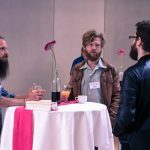 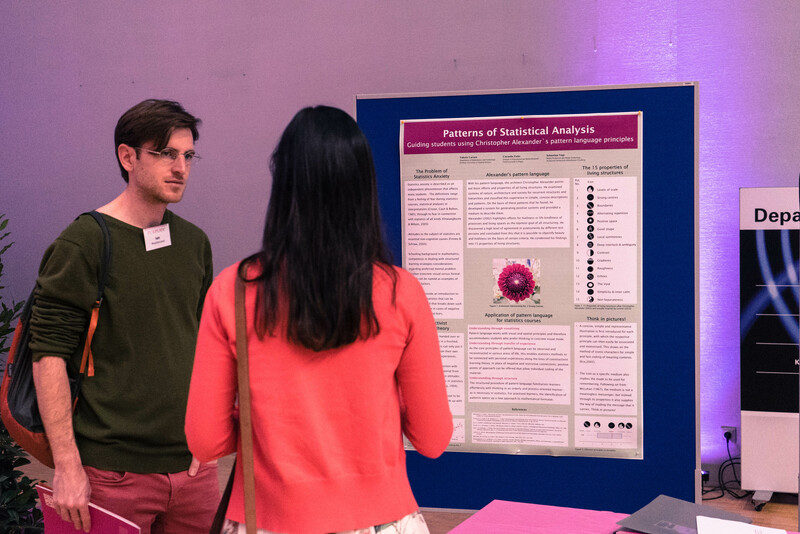 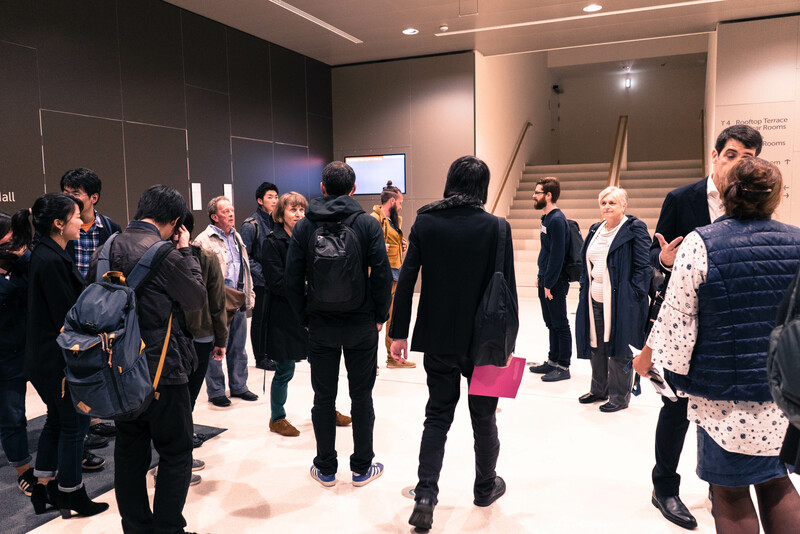 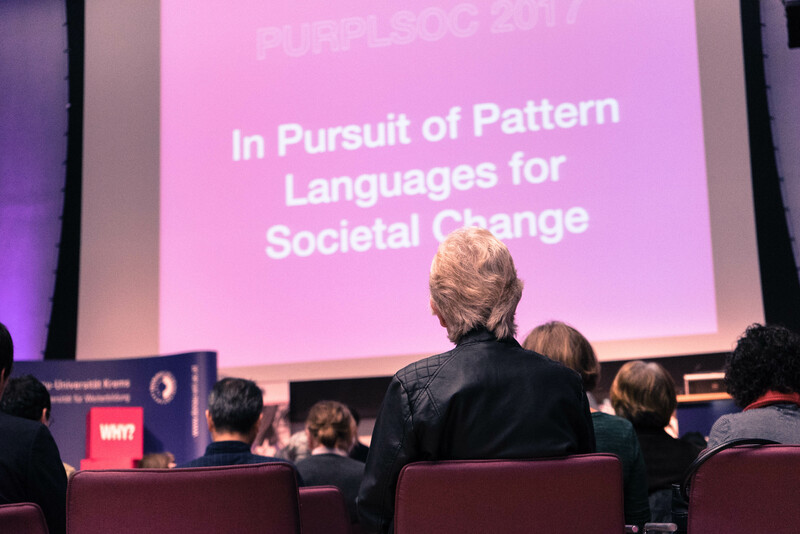 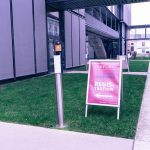 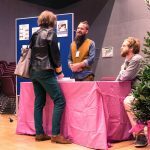 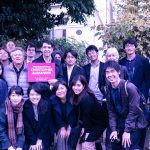 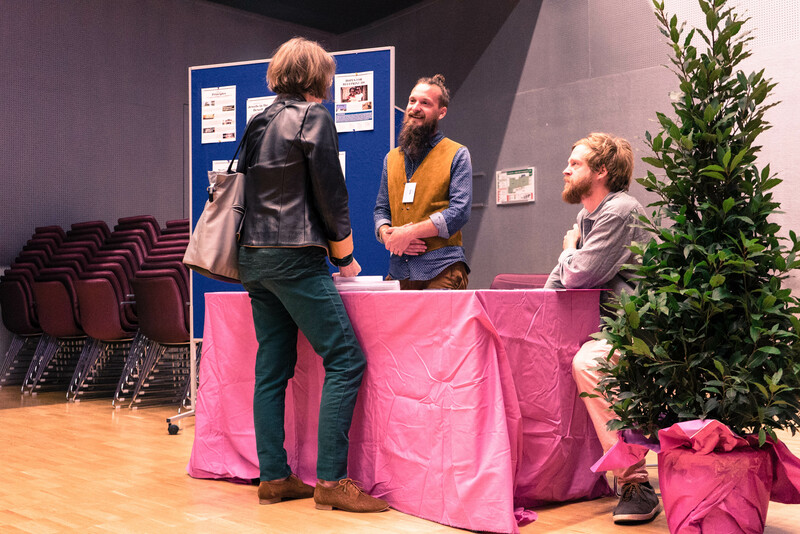 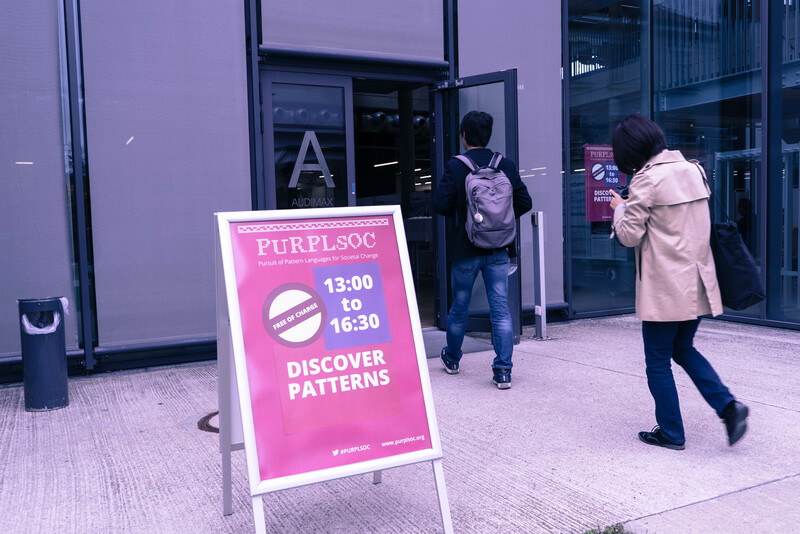 The PURPLSOC 2017 conference opened with a Newcomers’ Fair, an introductory open session into the world of patterns and Christopher Alexander for the general public. 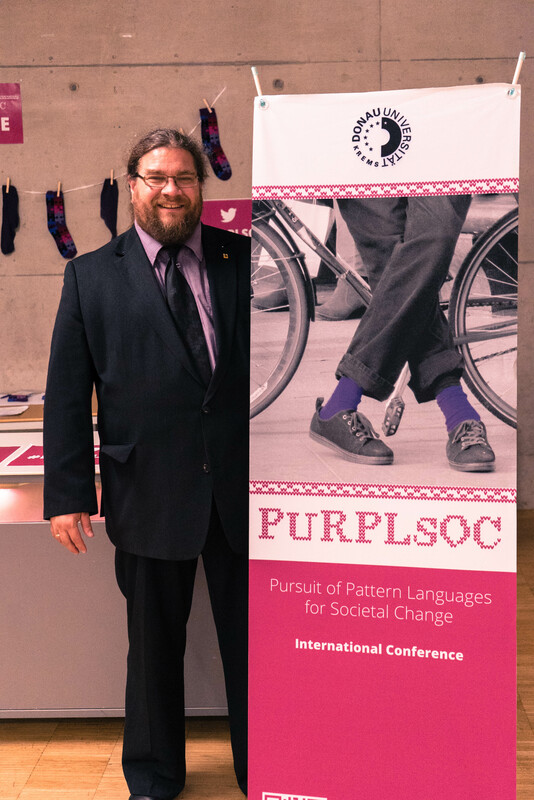 Richard Sickinger, co-organizer of the PURPLSOC, offered a compact introduction to the pattern language approach in his presentation. 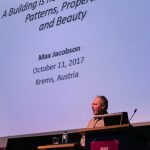 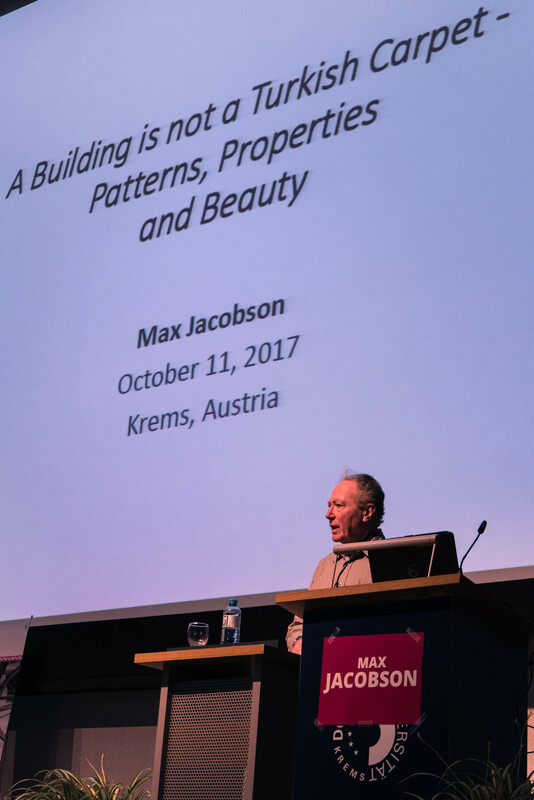 Max Jacobson, the co-author of Christopher Alexander’s famous work “A Pattern Language”, addressed the topic of beauty in architecture in the opening keynote. 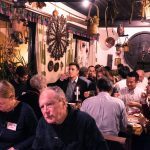 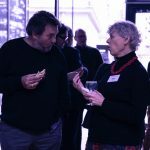 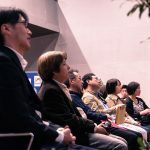 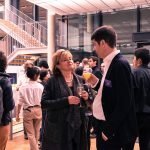 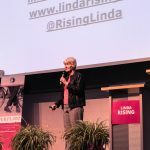 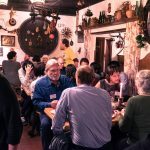 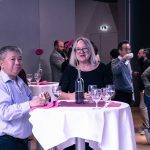 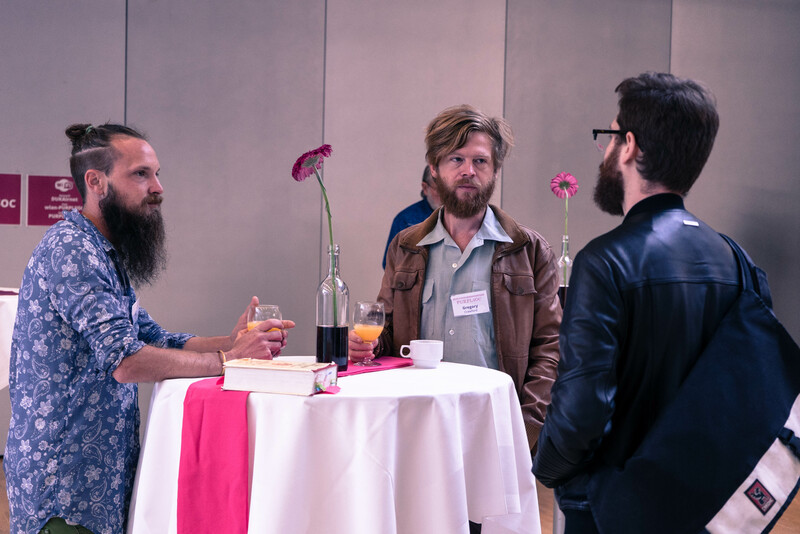 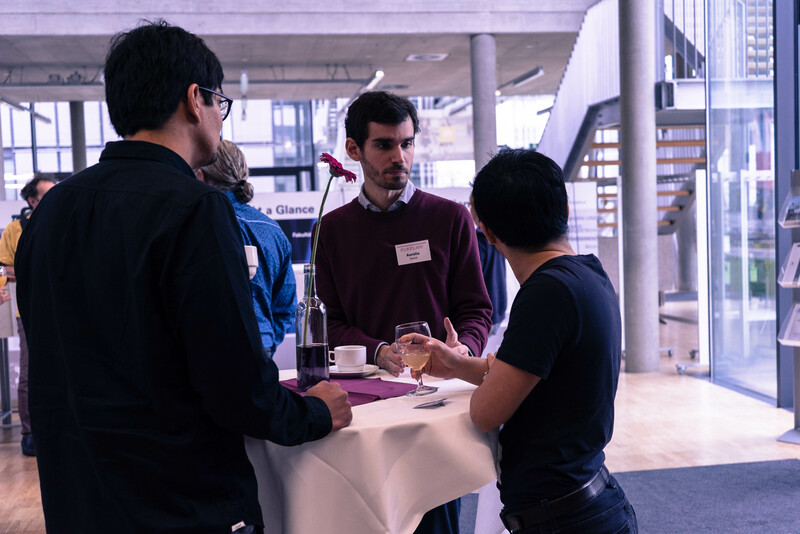 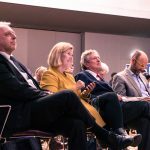 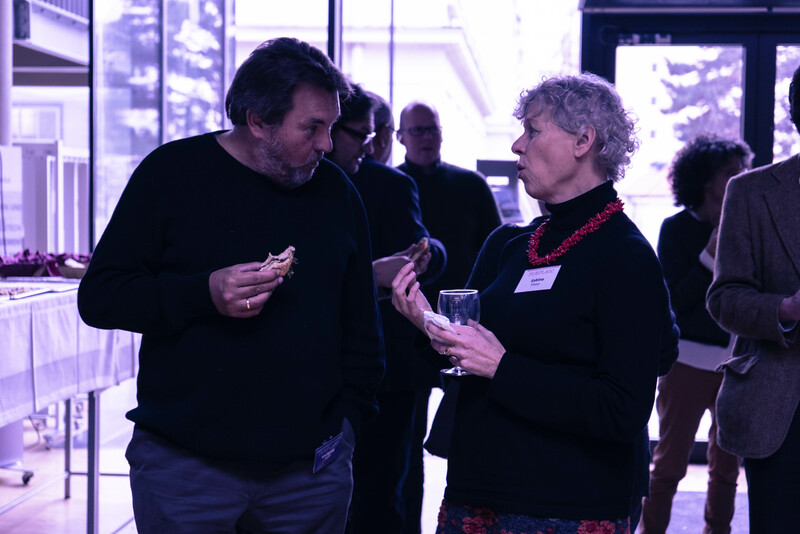 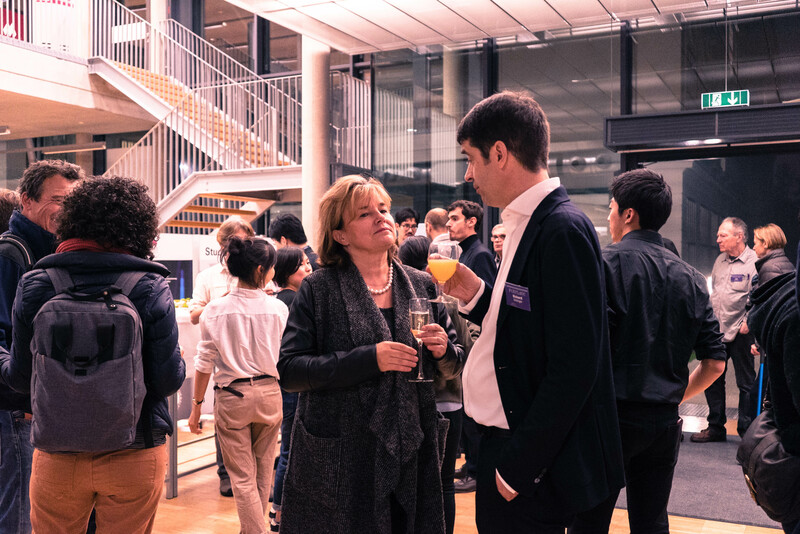 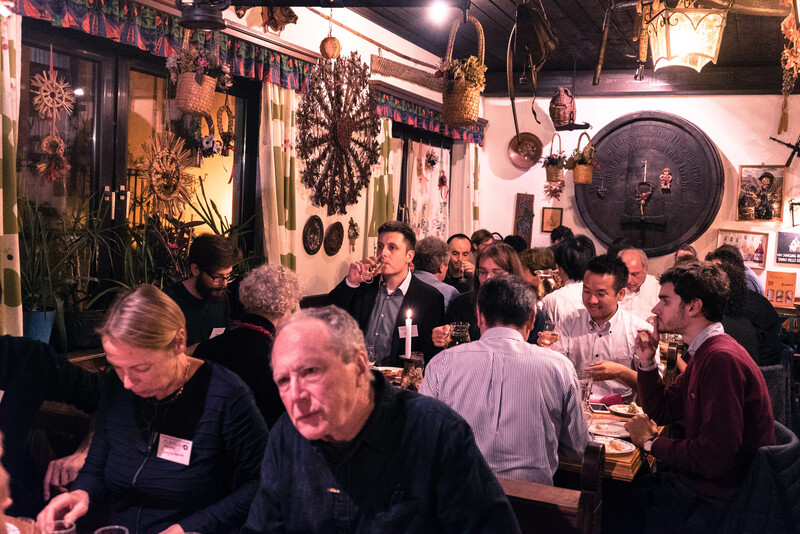 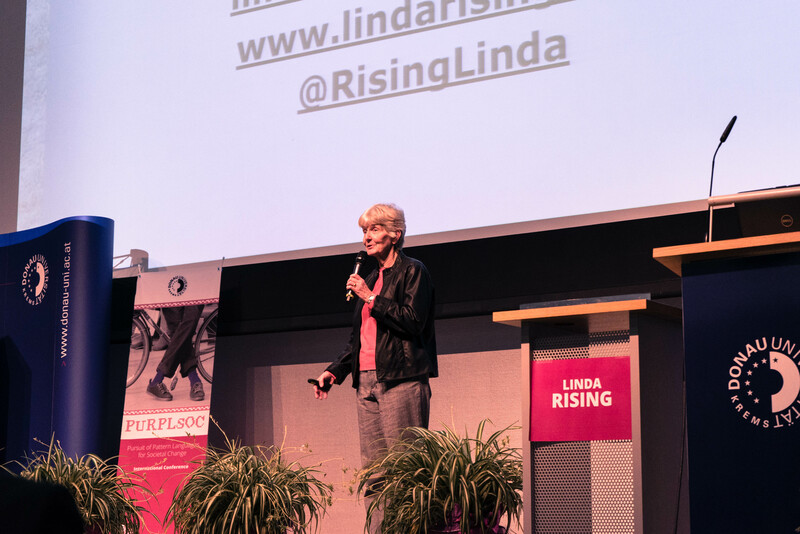 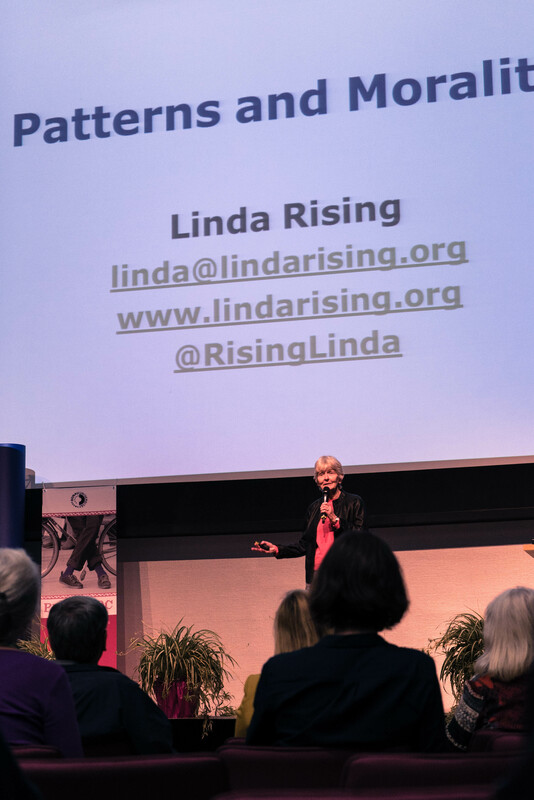 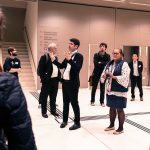 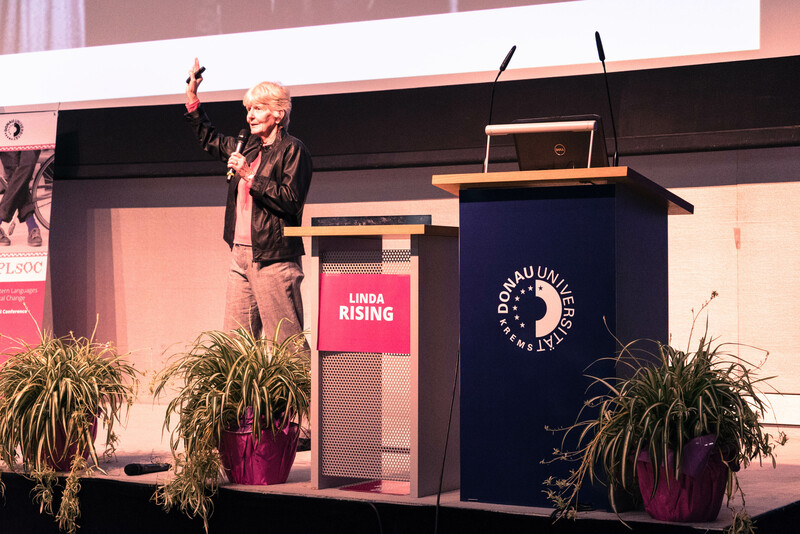 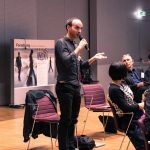 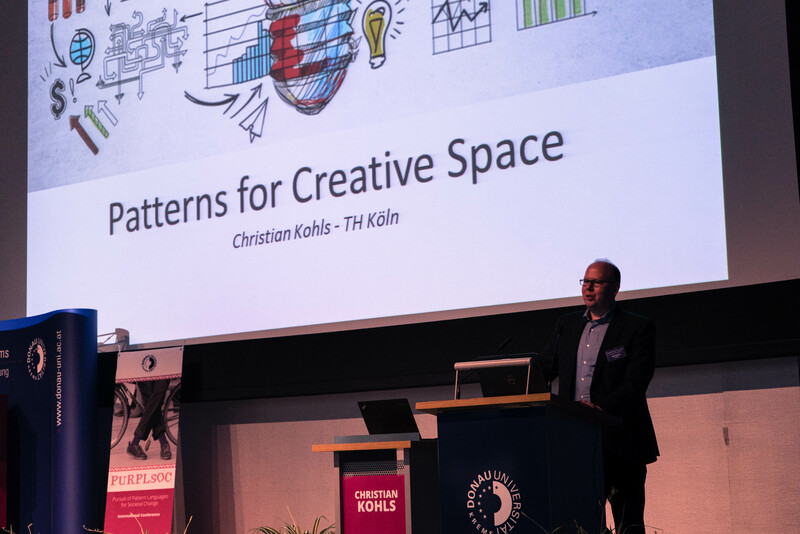 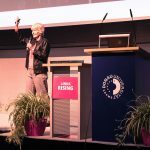 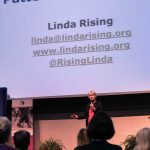 Other keynote speakers included Linda Rising, Nick Seemann, Christian Kohls and Yodan Rofe. 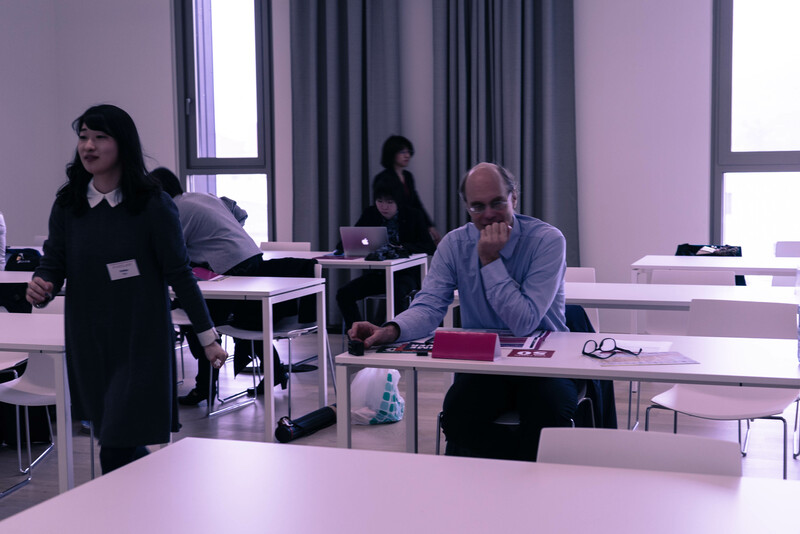 George Platts gave the participants the possibility to re-energize with his team building games. 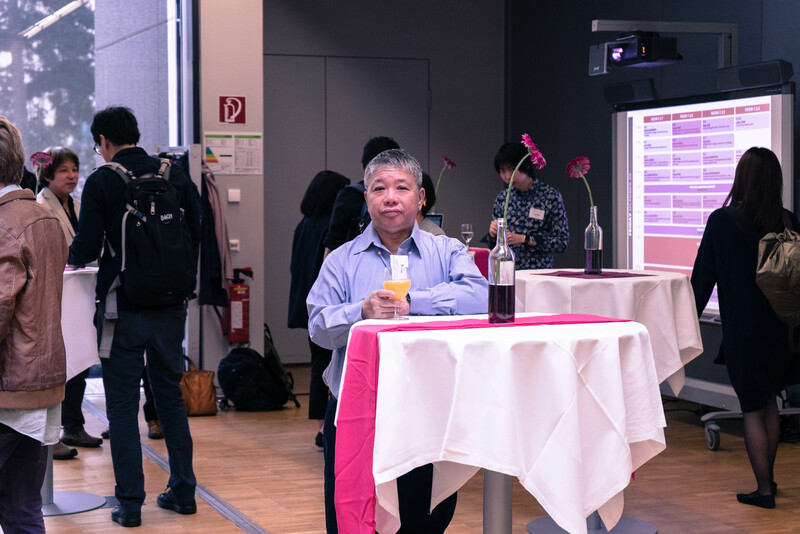 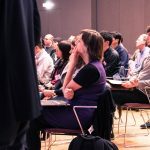 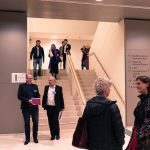 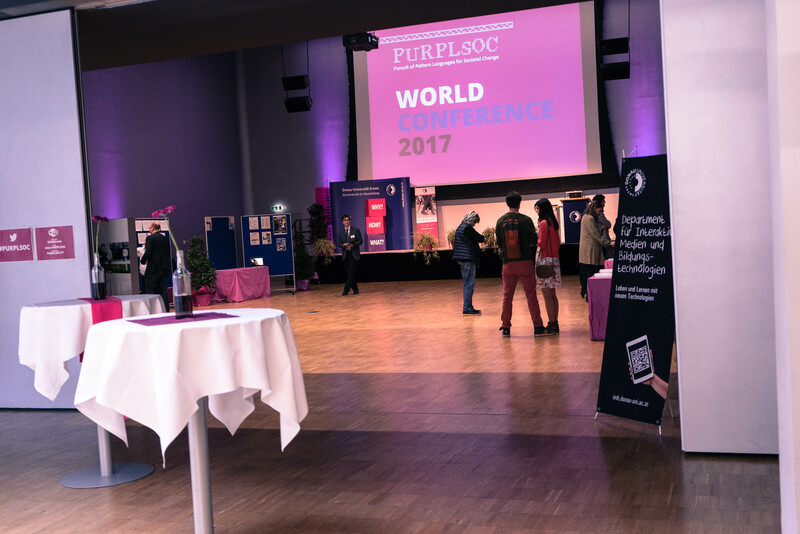 As previously with the PURPLSOC Workshop 2014 and the PURPLSOC World Conference 2015, the conference papers will be published as an Open Access Book. 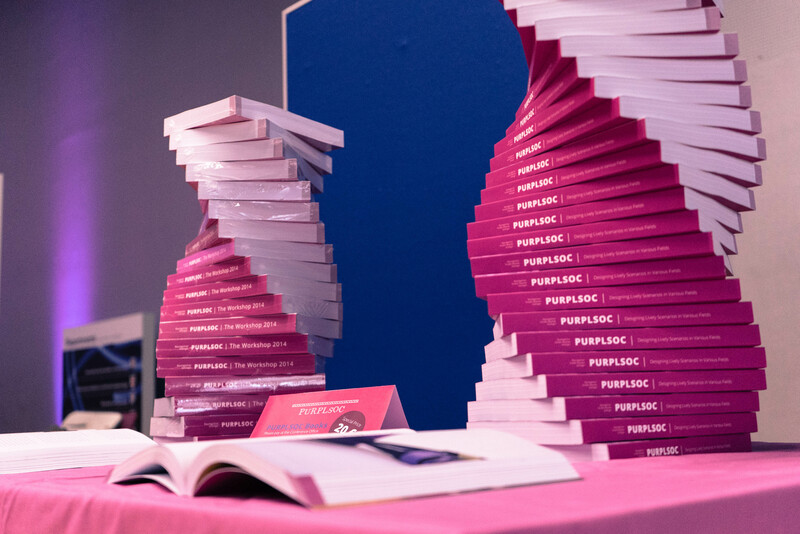 This will be available either as a print-on-demand product, eBook or as a free PDF download. 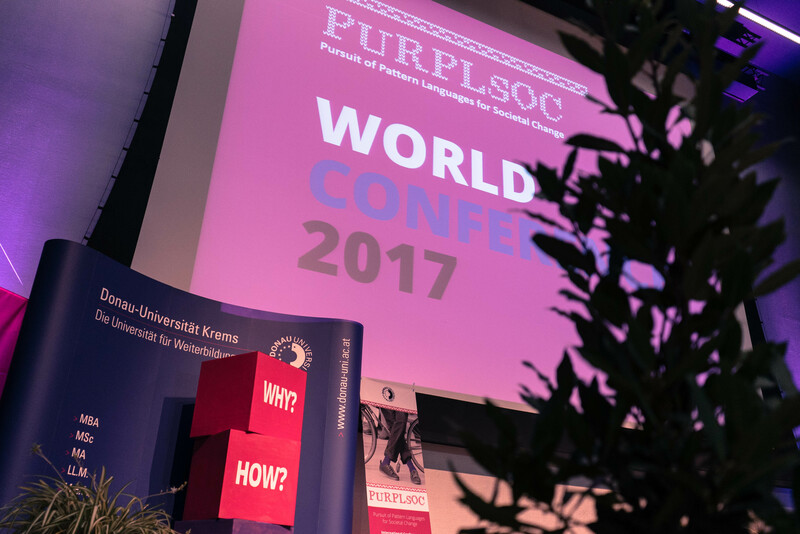 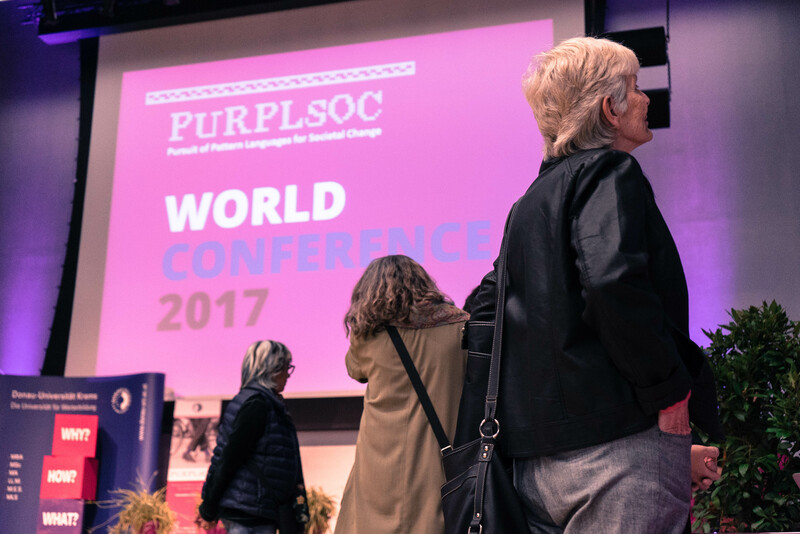 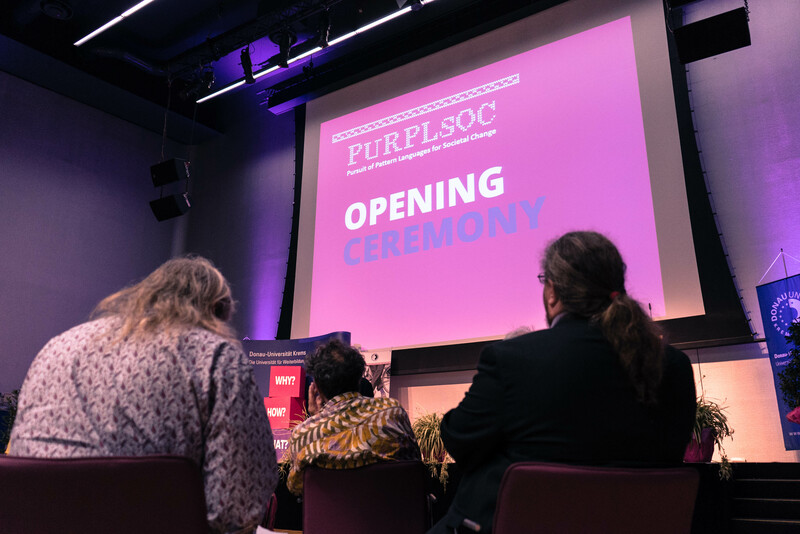 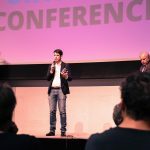 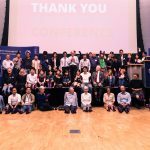 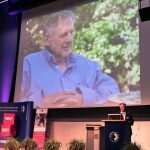 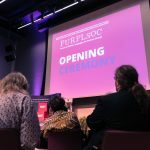 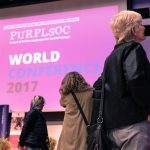 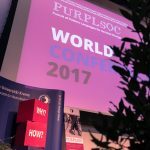 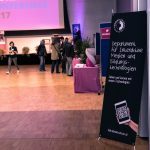 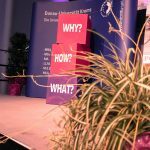 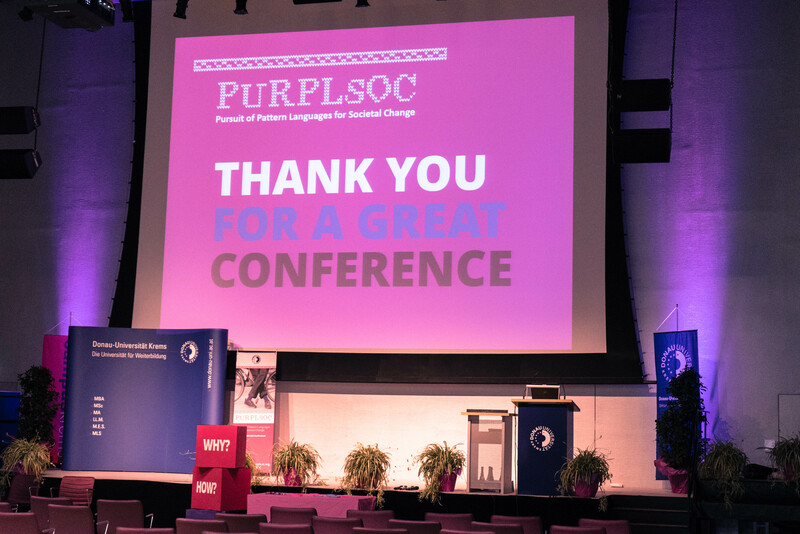 In addition, video clips of the 2017 conference will be gradually published on the PURPLSOC website. 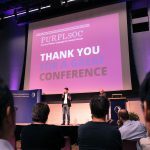 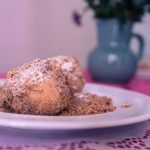 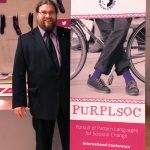 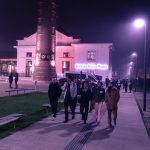 The next PURPLSOC is scheduled for 2019. 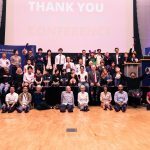 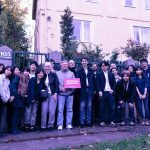 Our partner conference PUARL will take place in 2018 in Portland, Oregon USA.